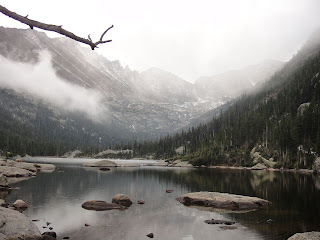 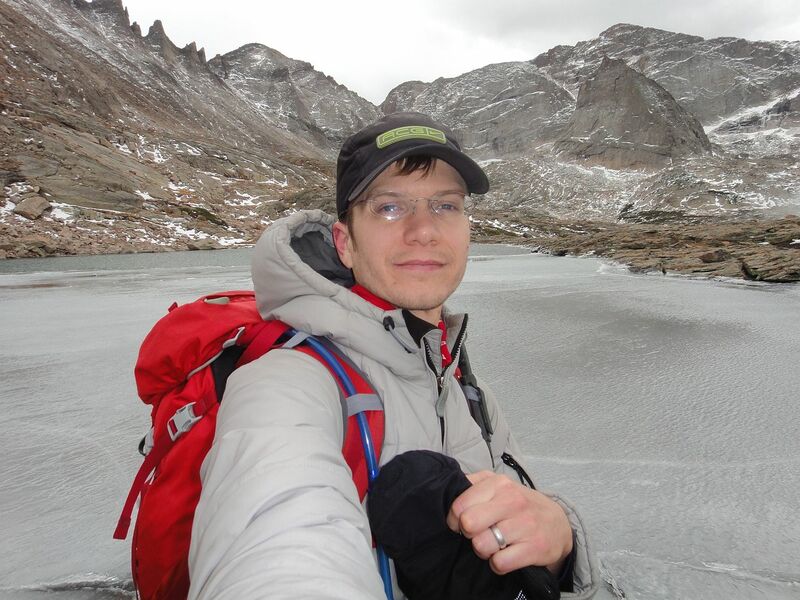 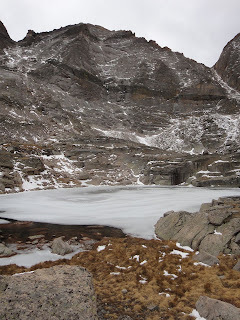 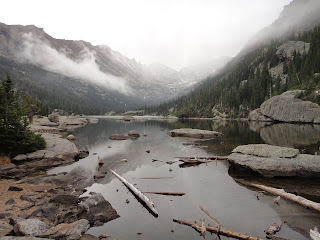 Just a week before Dan and I hiked to the high lakes of Glacier Gorge. 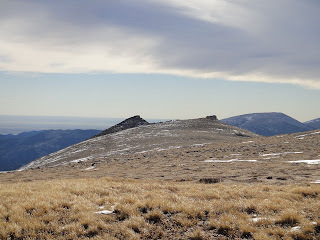 Earlier in the year we had talked about doing Chiefs Head Peak, but wanted to wait until later in the year since it seemed doable in winter conditions without worry of avalanche. The hike and views we got were incredible, and since it did snow the day after, we decided Chiefs Head was a go! We met up in Lyons and made the drive up relatively quickly. 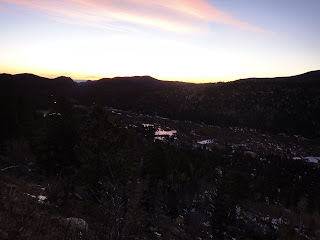 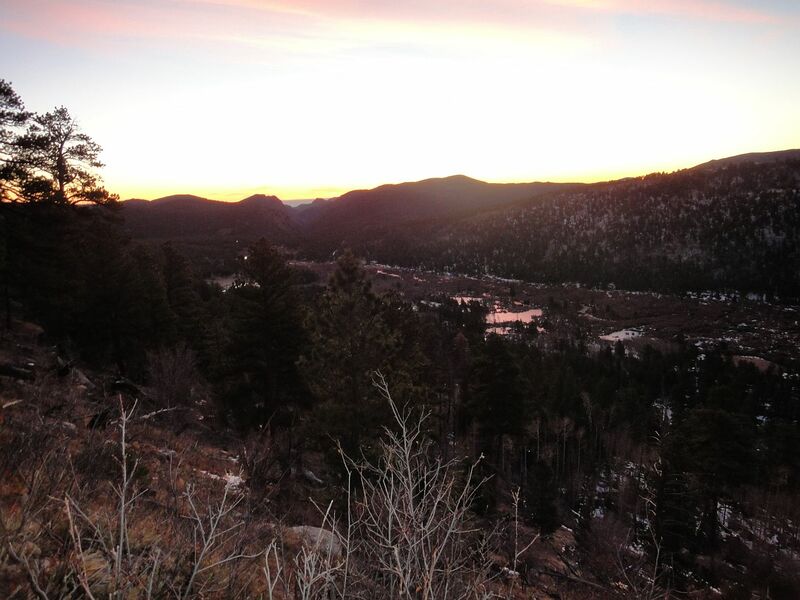 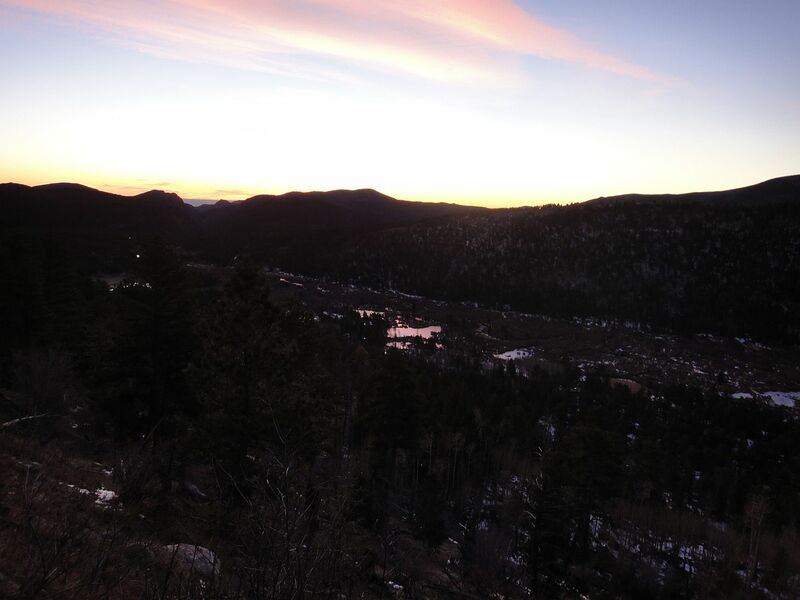 We started out just as the sun was coming up from the Sandbeach Lake Trail Head. 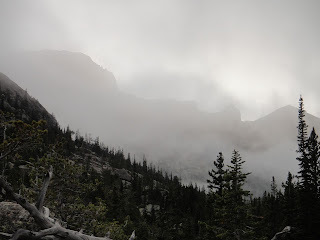 I of course forgot to bring my headlamp, but no worries. Our eyes adjusted to the darkness quickly and the growing light of the day helped alot. St. Vrain drainage from the trail. There was just a few spotty places of snow until summiting the moraine, typical of my experience with this trail in cooler months. After that it was packed snow/ice. Dan put on microspikes. 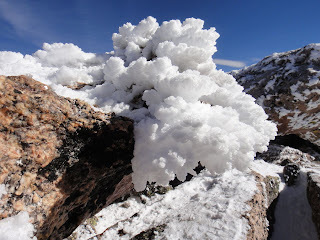 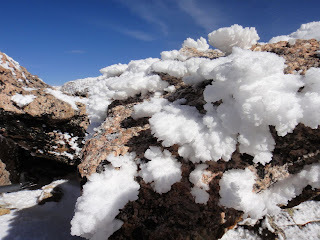 I only brought full on crampons and didn't feel those were needed, but something would have been nice. Snow, snow, snow. 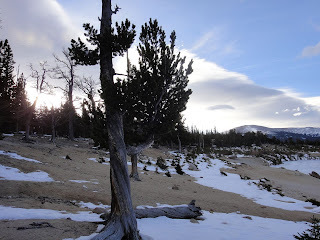 I'd say the vast majority of the trees are of the evergreen variety, yet the forest still looks alot more barren and desolate in the winter. Hunters Creek. 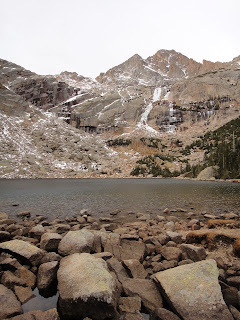 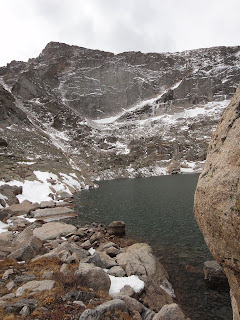 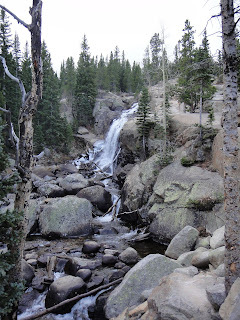 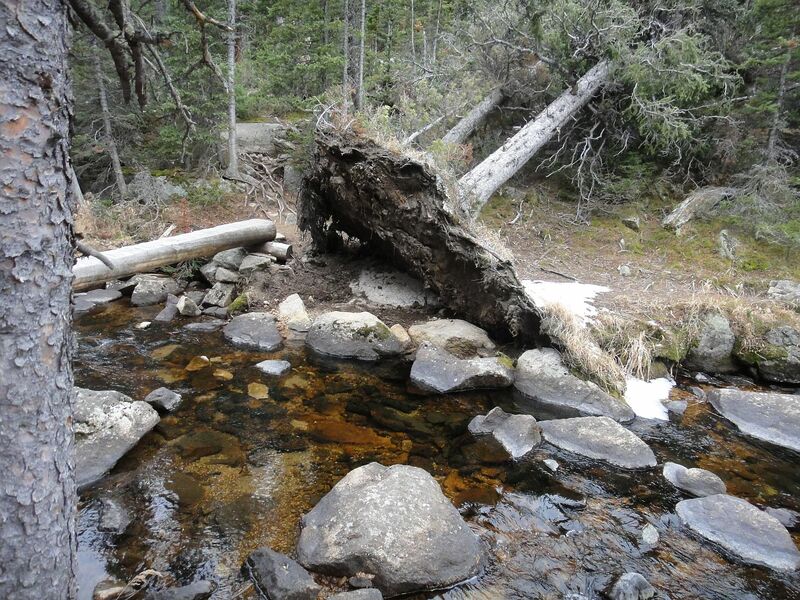 Follow up to get to Dragons Egg Rock and other fun points such as Keplinger Lake. 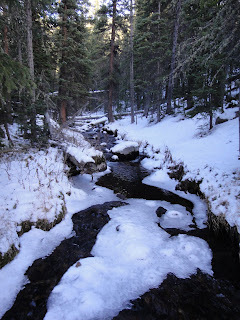 Looking down Hunters Creek. 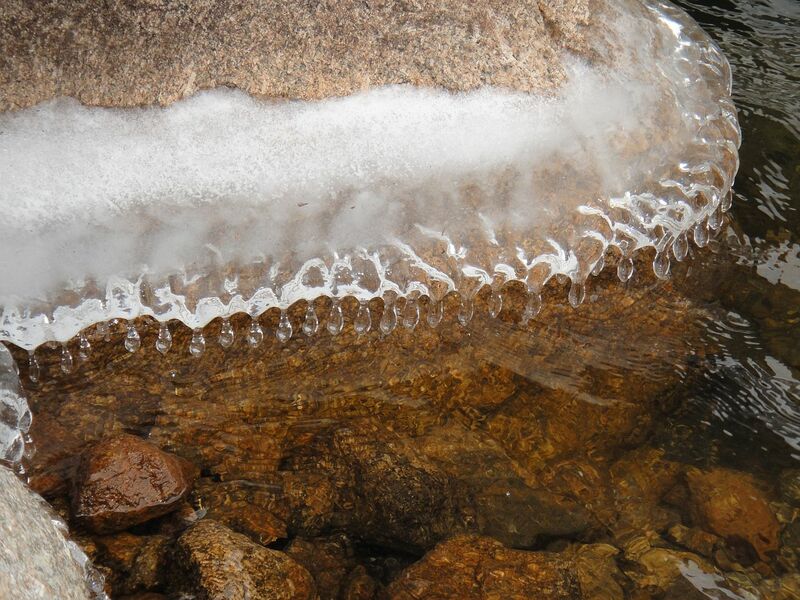 Iced over. 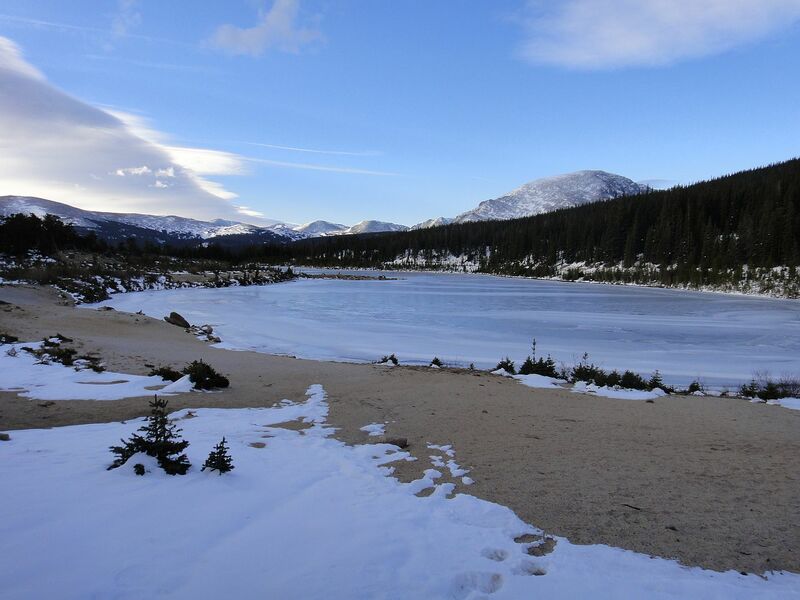 Sandbeach Lake is 4.2 miles in and a great hike to do anytime of year. 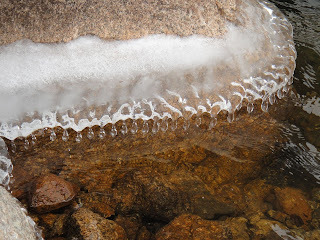 Since it popular, I would say at most in the winter you'd need traction devices of some sort. 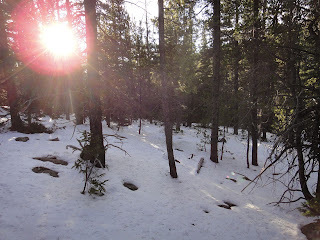 Of course, if fresh snow has fallen, snowshoes would be appropriate. Copeland Mountain in the background. 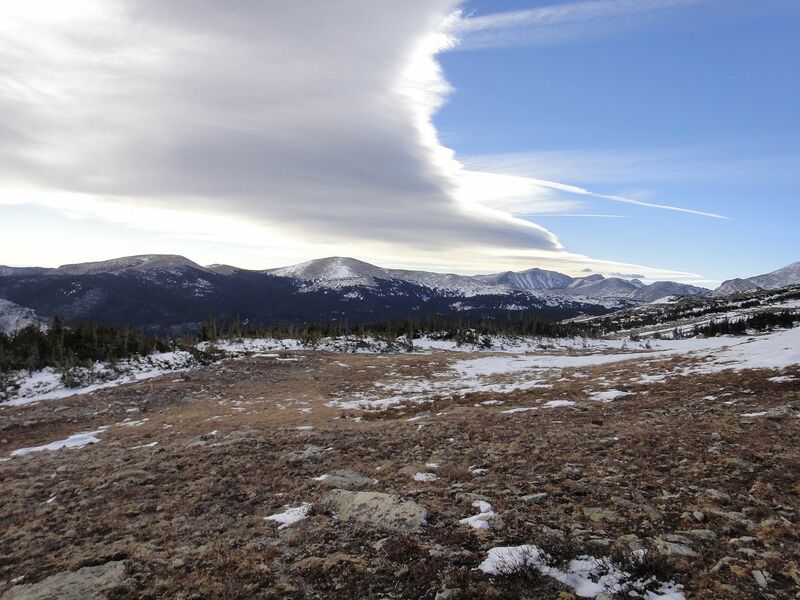 Krumholtz on the shores, cool looking clouds. 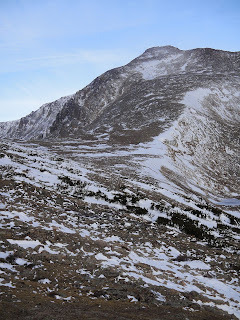 From Sandbeach Lake, turn right and head up the slope. 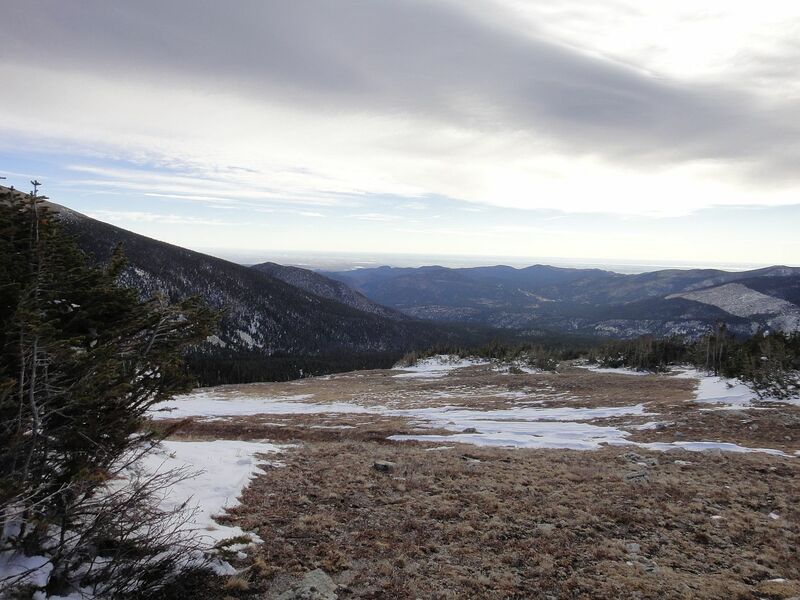 There is an unofficial trail which is alot easier to find in the summer, but Mount Orton is the next point of interest you'll come to, and it is relatively easy to get to it. 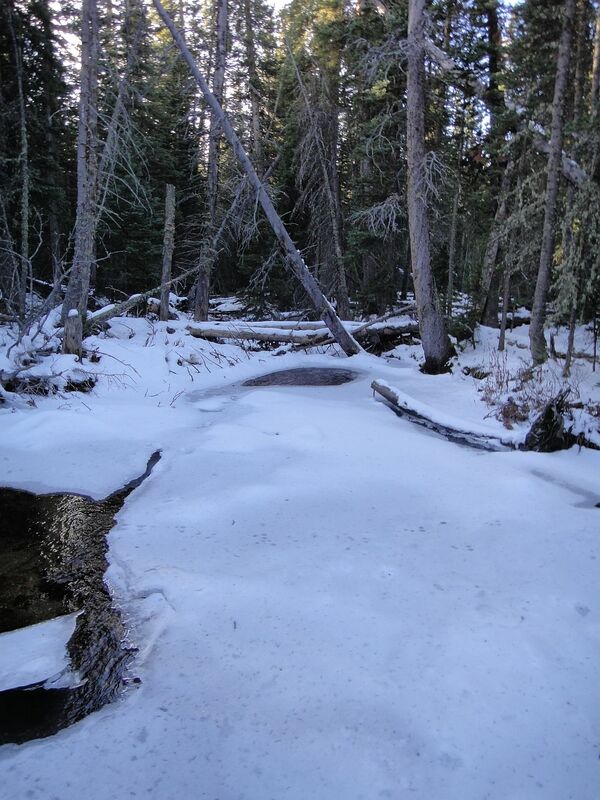 I would suggest staying more to the north than you think. Mount Meeker as seen from somewhere on Mount Ortons slopes. 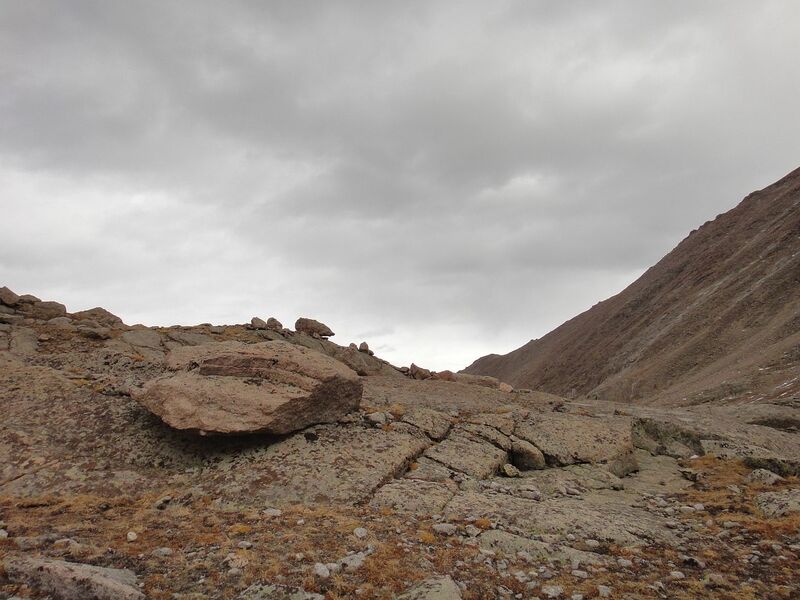 Around the place where this picture was taken, we found some cairns and followed them up. I would suggest ascending the rocky slope, and then heading around to the north. 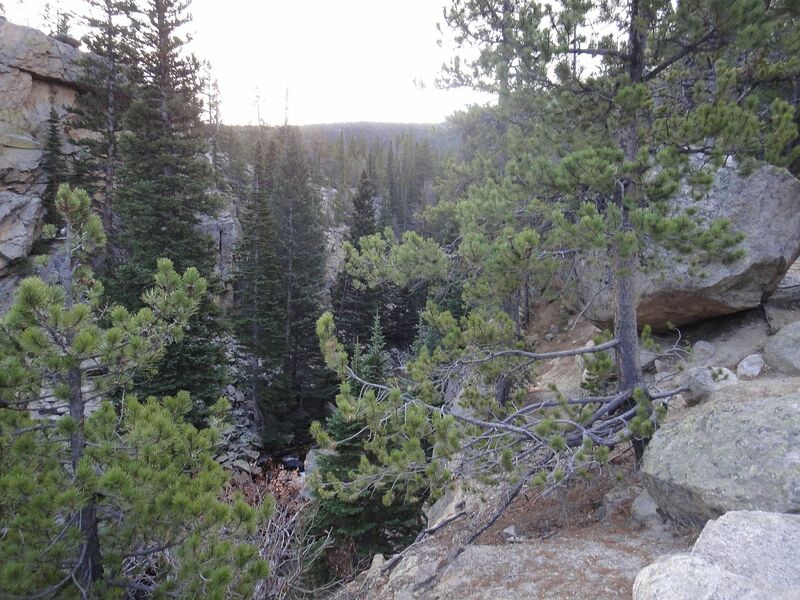 This can largely keep you out of the trees and help you to avoid some unnecessary bushwhacking. 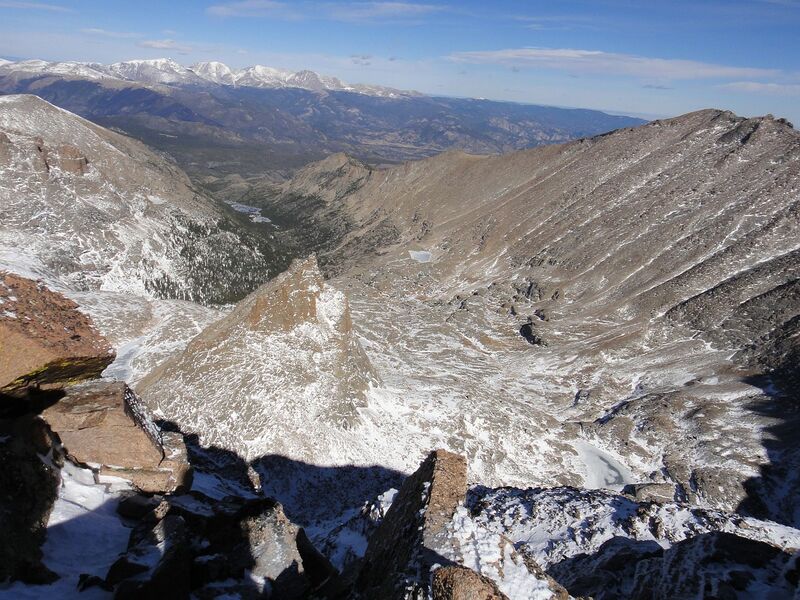 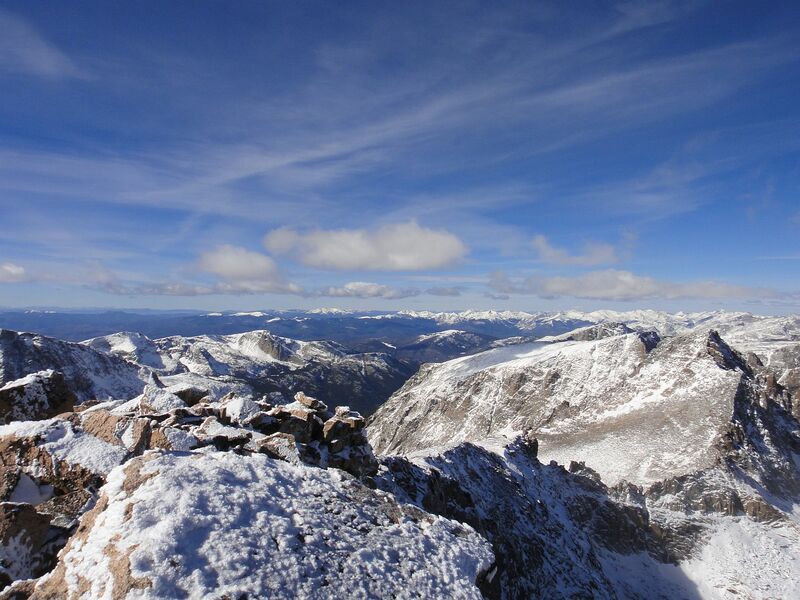 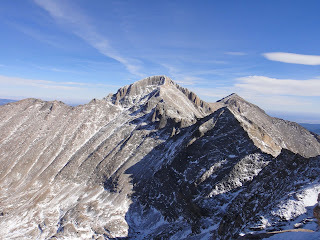 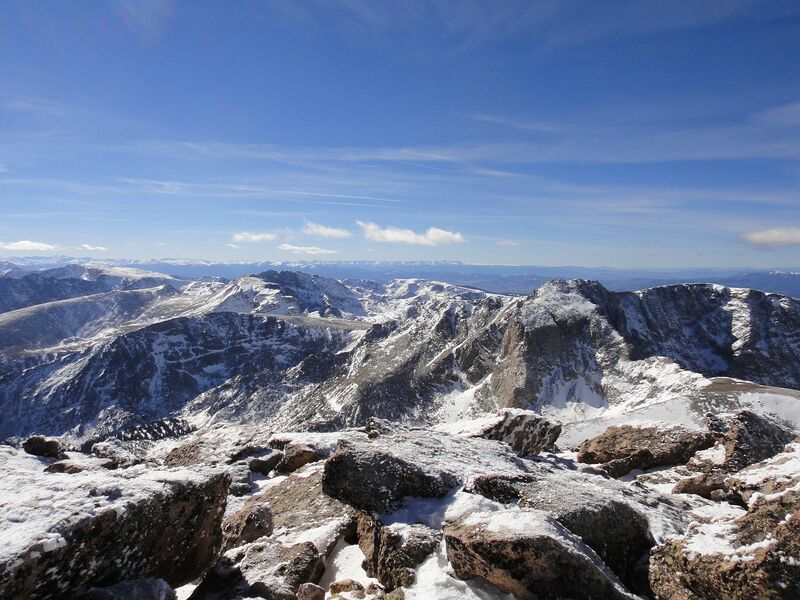 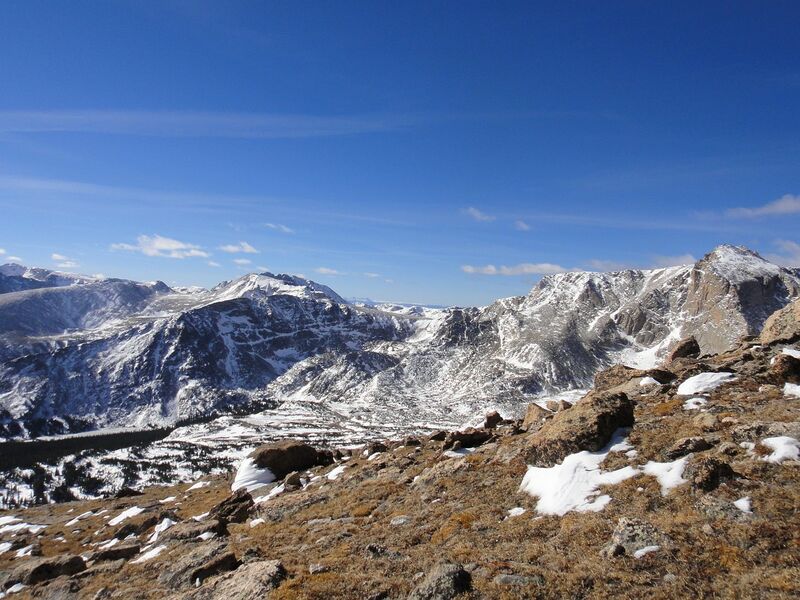 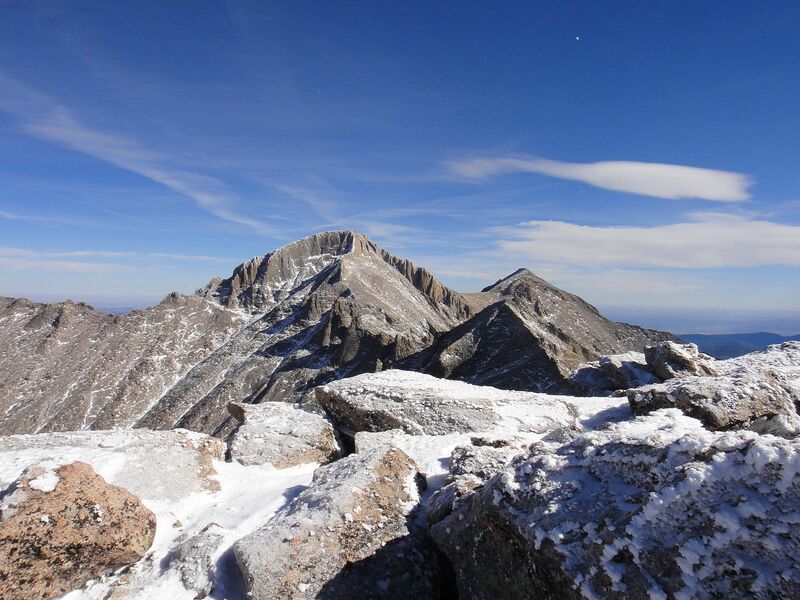 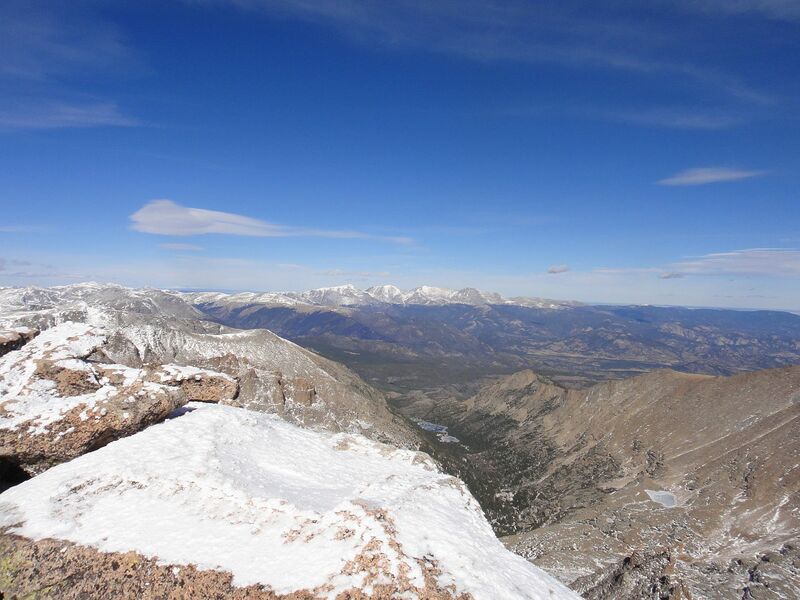 Pagoda Mountain, Longs Peak, and Mount Meeker seen from the ascent of Mount Orton. Points north in Wild Basin. Dan hadn't gotten to Mount Orton, which is less of a mountain and more of a high point on the ridge. 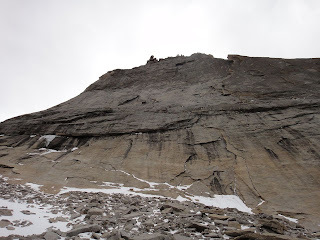 Looking up North Ridge to Chiefs Head. 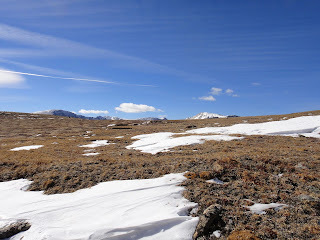 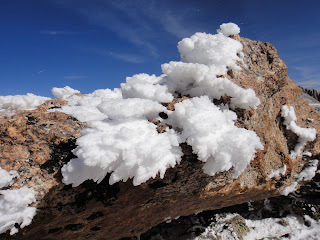 The tundra is great hiking here- exceptionally smooth and easy going. 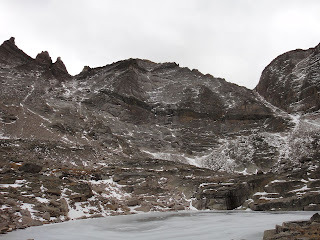 Giants of RMNP- Pagoda is seventh highest in the park, Longs first as well as the northern most 14er in Colorado, Meeker is the second. 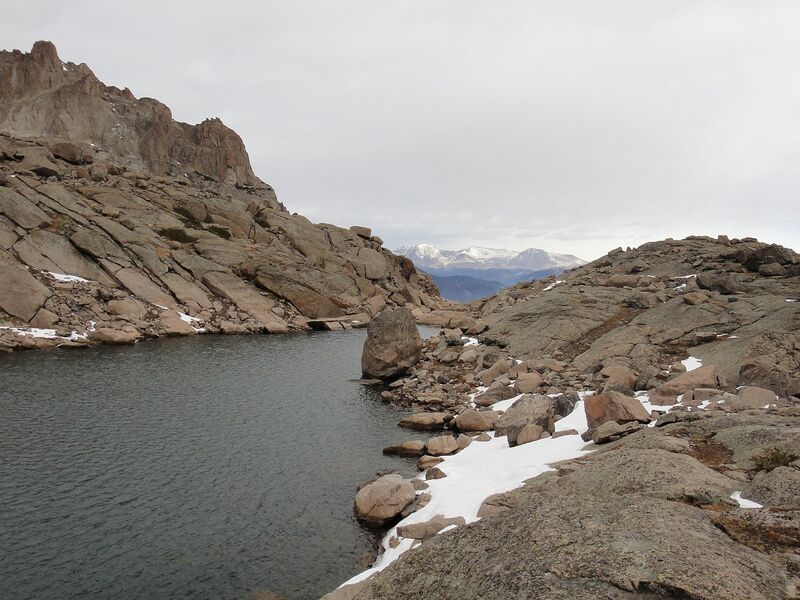 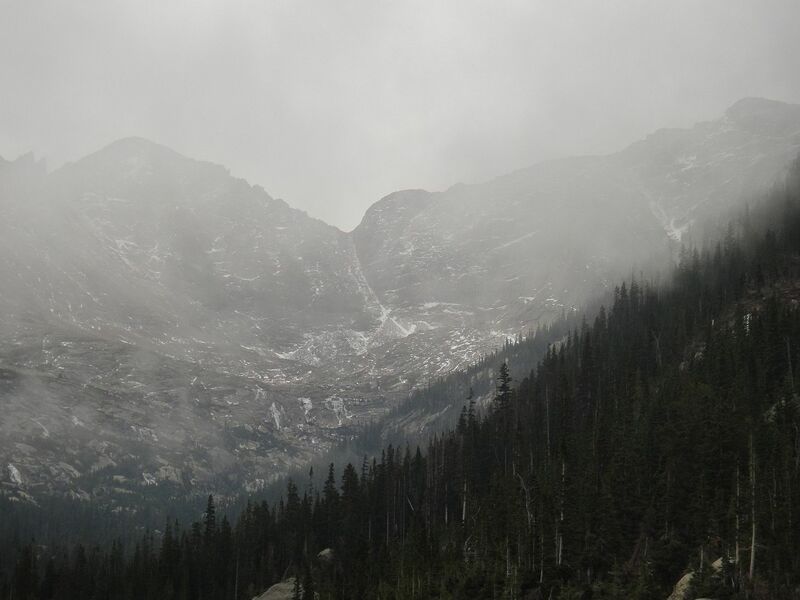 Our goal for the day is the third highest peak in RMNP. 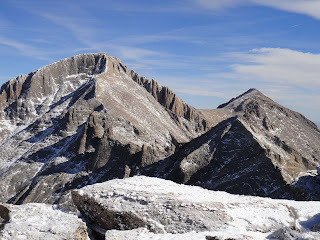 Longs Peak from the south. 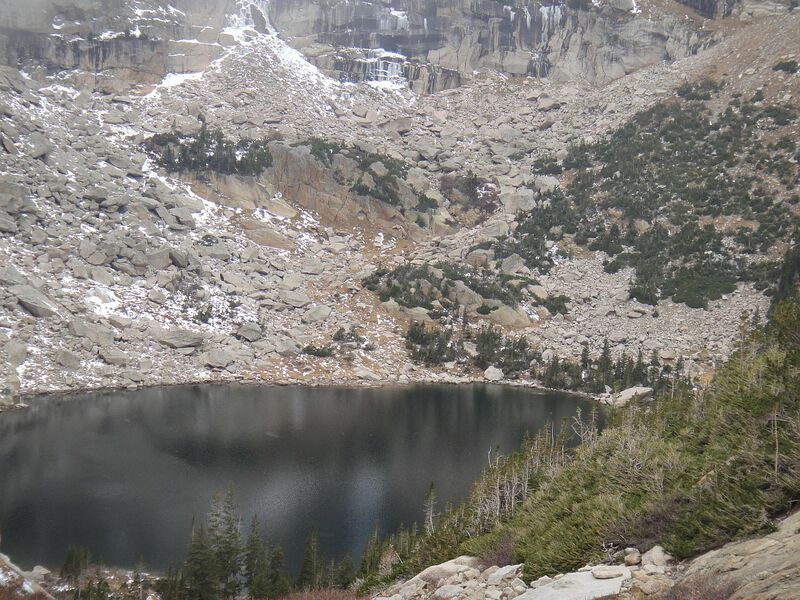 The lake at the base (which truly lies almost directly south of Pagoda Mountain) is Keplinger Lake. 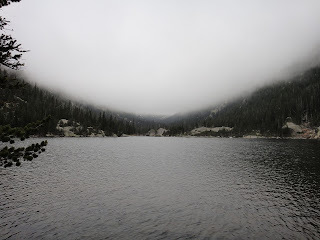 I would say this stands in my mind as one of the most secluded and beautiful lakes in the park. 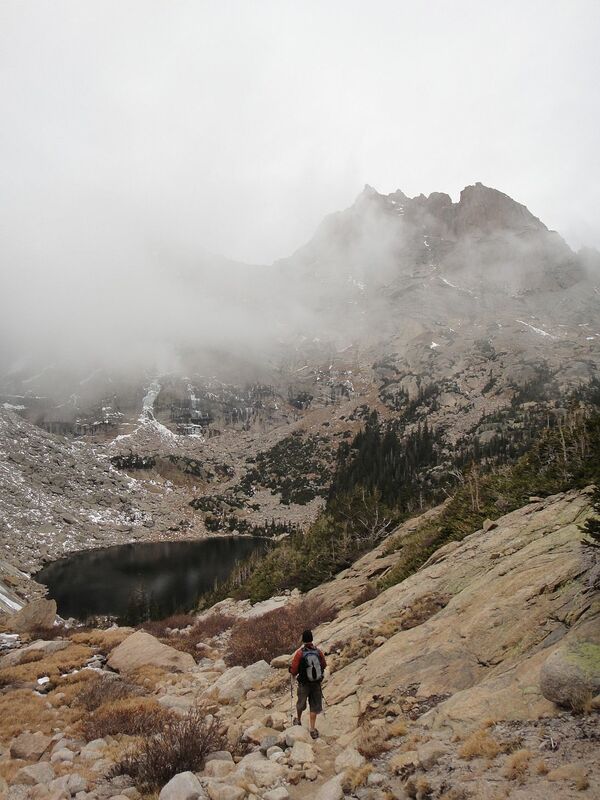 A very worthy destination, but all approaches require at least 2.5+ miles of off trail hiking and bushwhacking. Looking back at Mt. 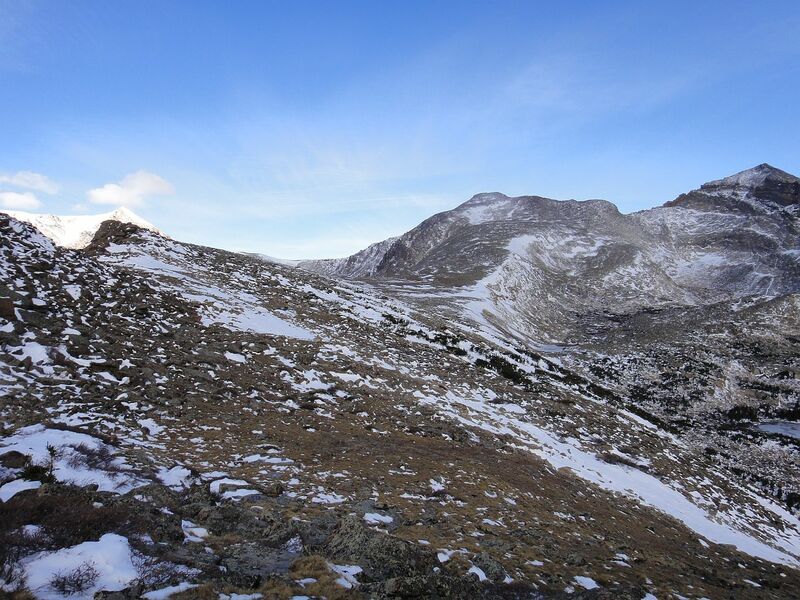 Orton (11724 ft.) from North Ridge. 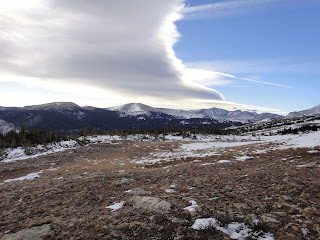 Snow sculpted by wind, the high peaks of Wild Basin just poking up. 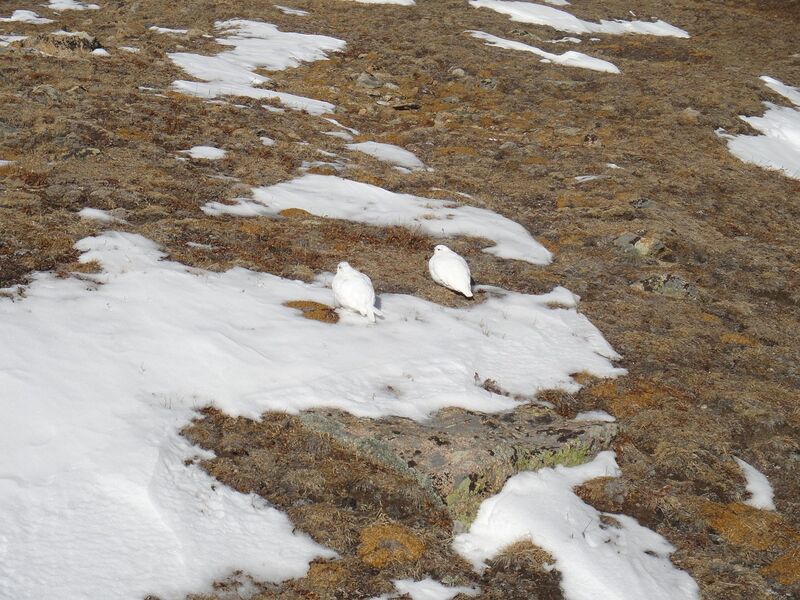 I don't think I have seen Ptarmigan in their winter colors as of yet. 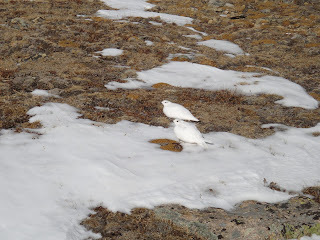 If it were a bit snowier, we might not have seen them at all. 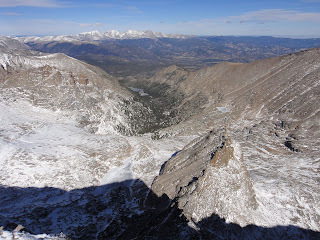 The bowl formed by Tanima Peak and Mount Alice. Here comes the pain. 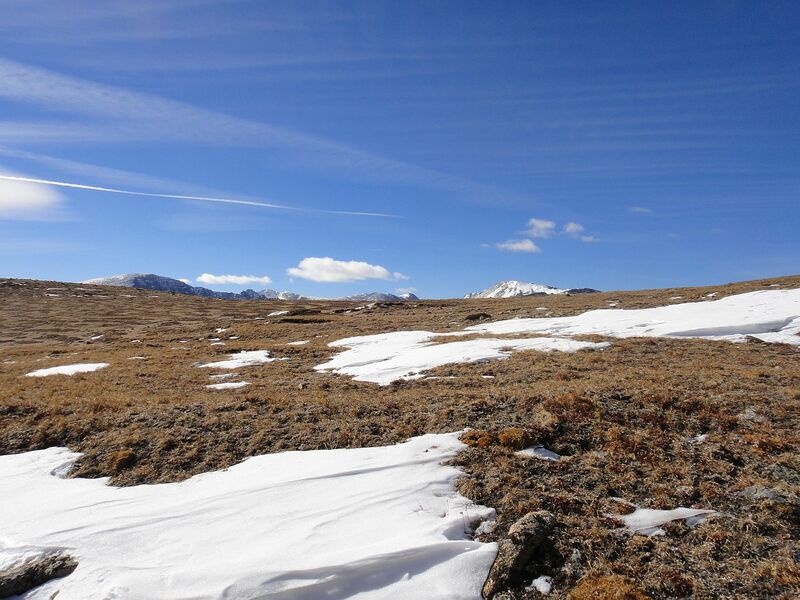 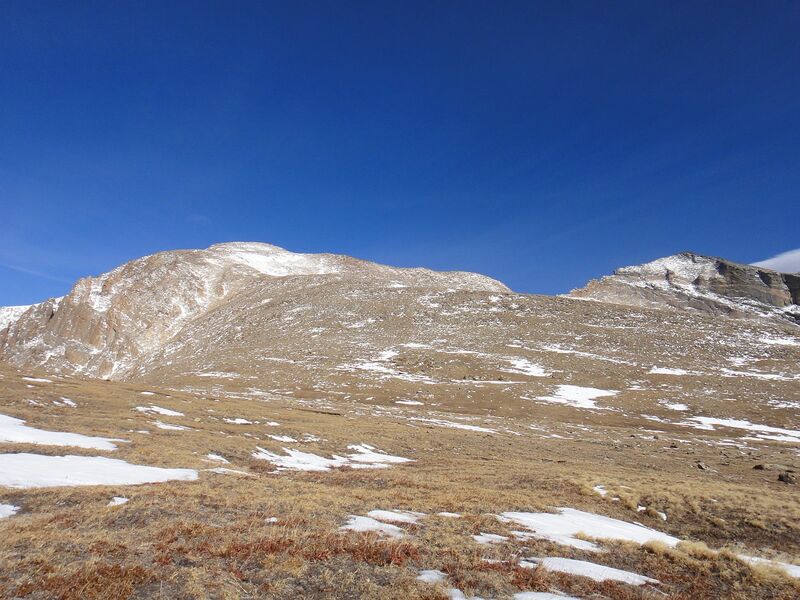 After a mile or more of relatively flat tundra the next mile gains around 1700 feet. However, there is nothing more than second class ahead. Nearing the top, looking down to Glacier Gorge. 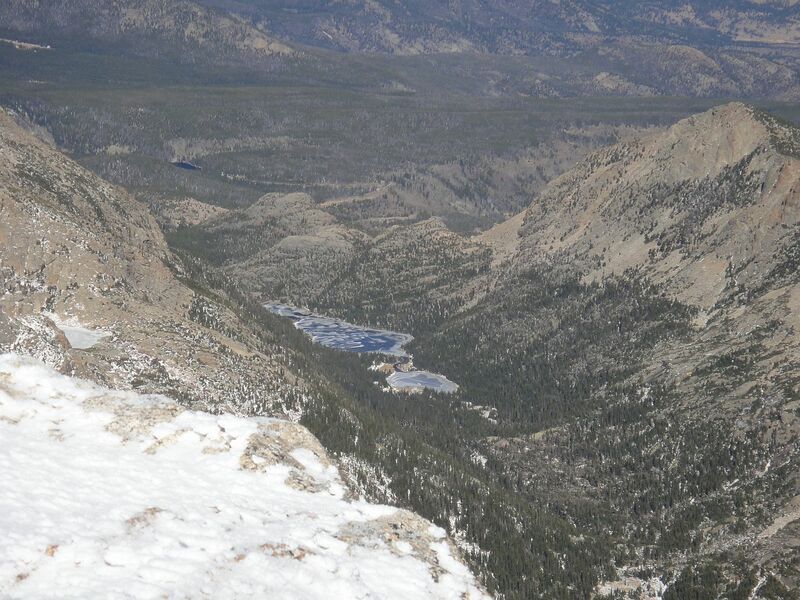 Green Lake in the foreground with Blue Lake and Mills Lake seen farther back. Hard to believe it was only a week ago that we were down there. 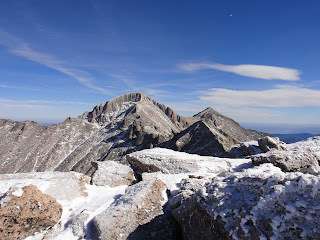 Looking east to Pagoda Mountain, Keyboard of the Winds, Longs Peak, and Mount Meeker. 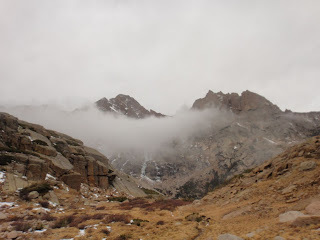 South to Wild Basin and beyond. Some of the high peaks of Wild Basin. A dizzying look down at the Spearhead and Green Lake. 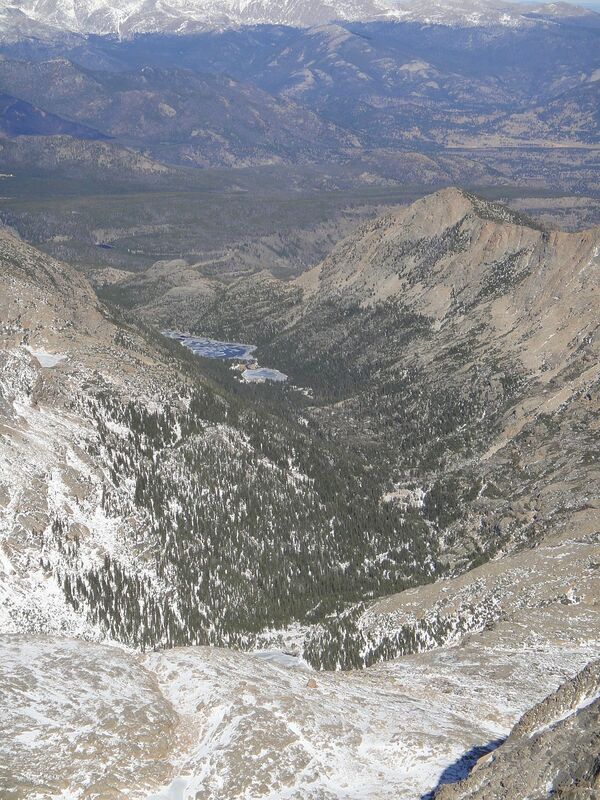 Looking north into Glacier Gorge and Mummy Range. 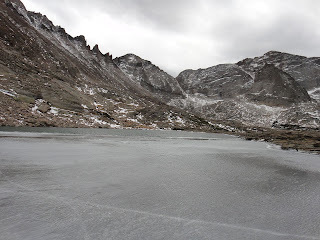 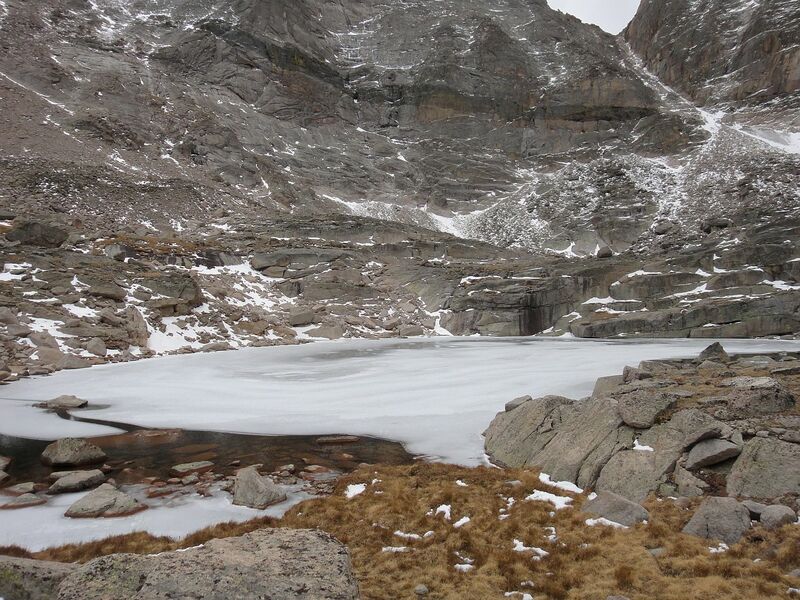 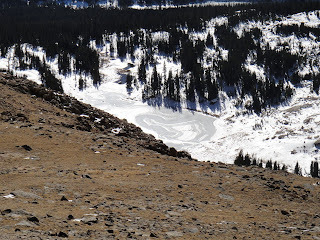 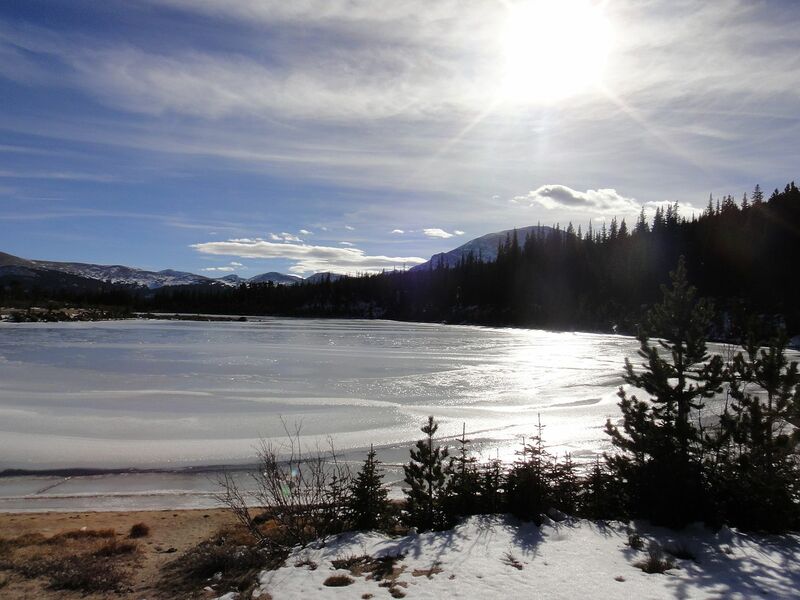 A closer look at Jewel and Mills Lakes, both now showing ice. 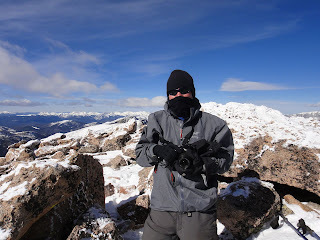 On the summit, 13579 feet. There is a rock near the summit that you can sit on and hang your feet down over lots of air. 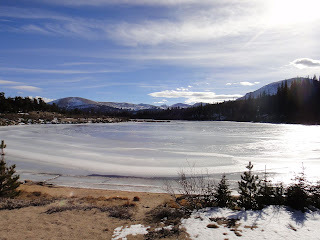 Frozen Lake now living up to its name. 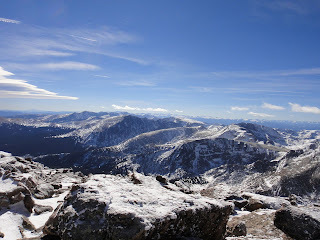 Points east from the true summit. 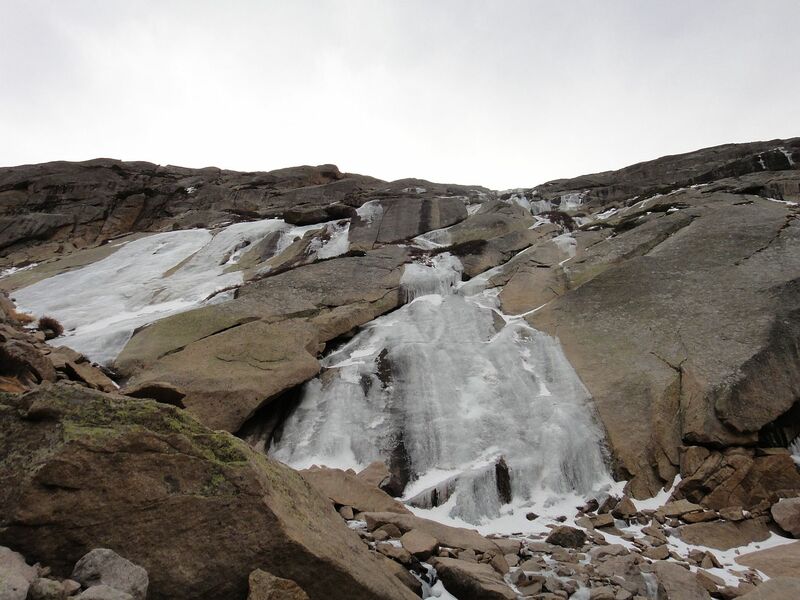 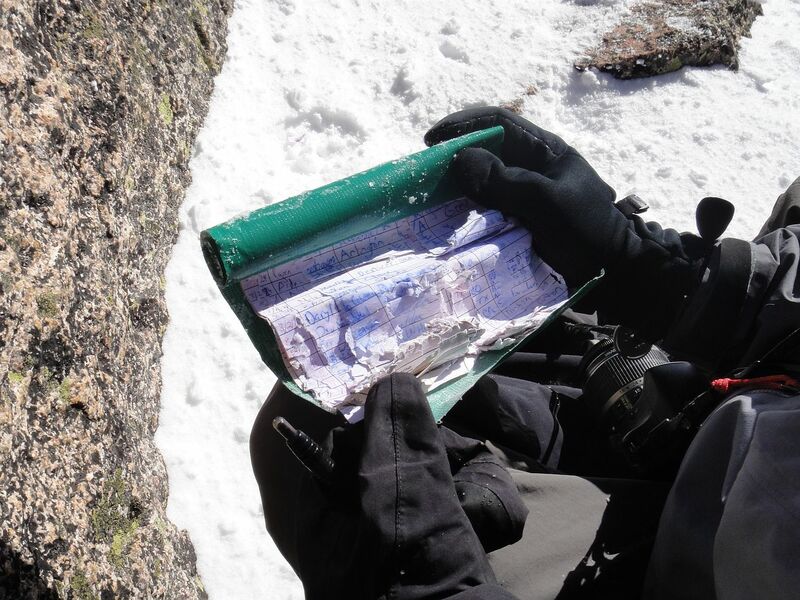 The summit register had been wetted and was frozen. It will remain untouched by us for the time being. 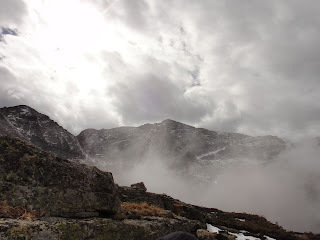 It was a bit windy, with blobs of snow being blow up at us from Glacier Gorge. We decided to start to descend and try to find a place with a wind block to have a snack. 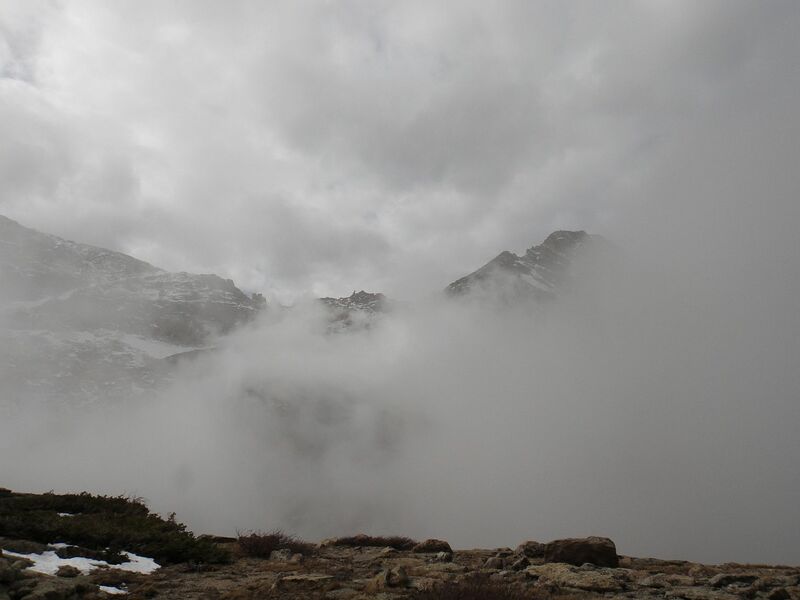 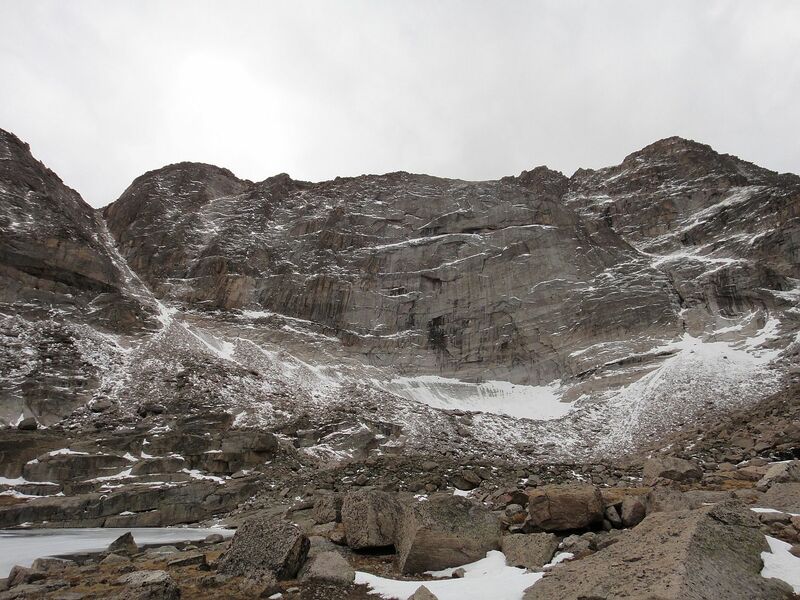 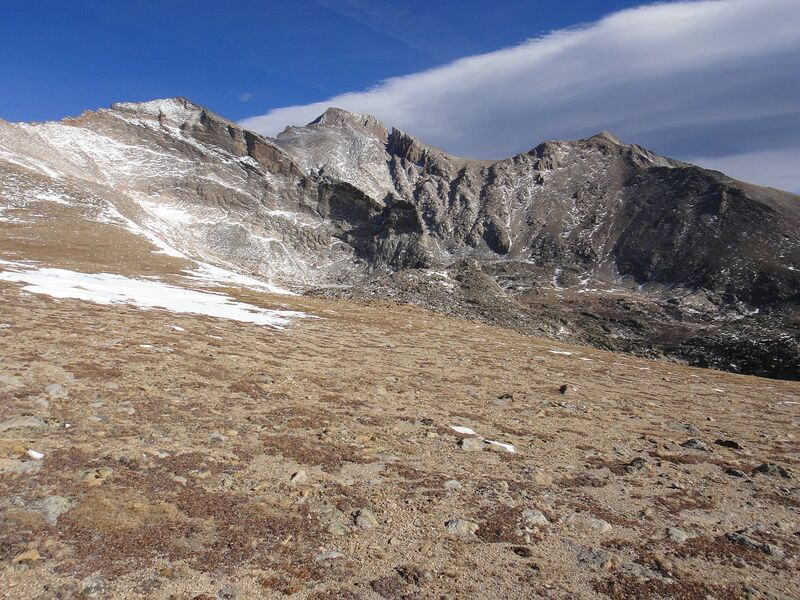 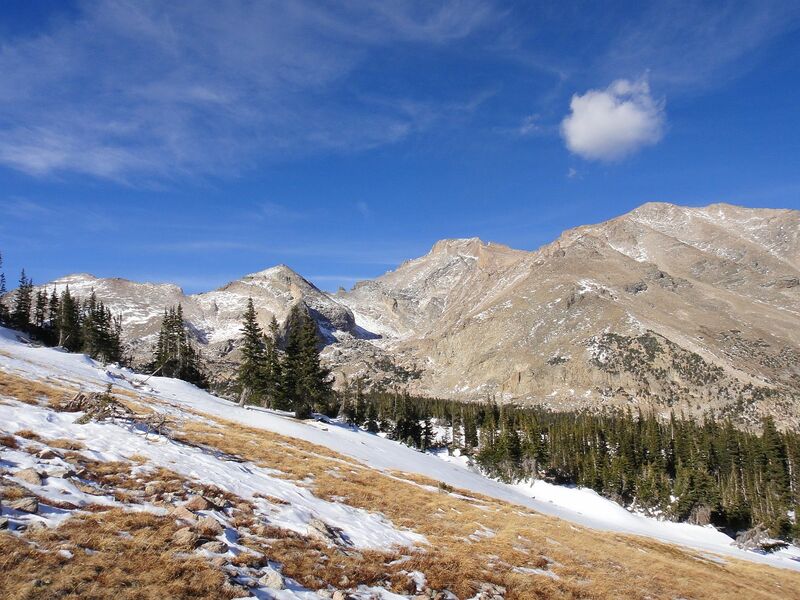 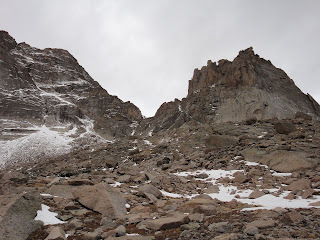 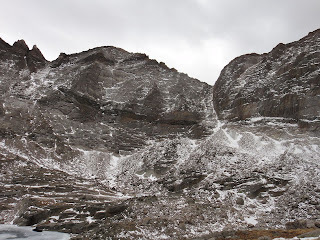 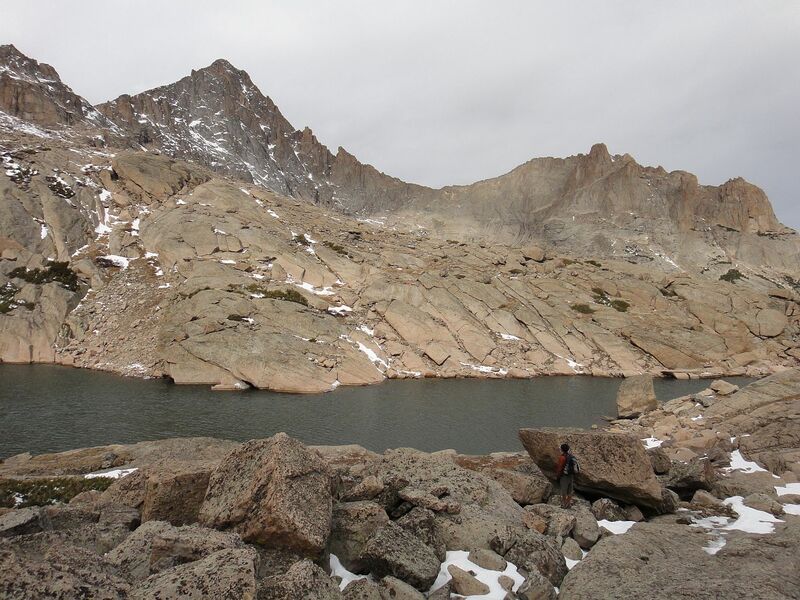 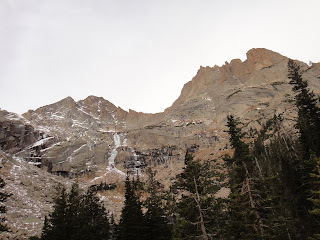 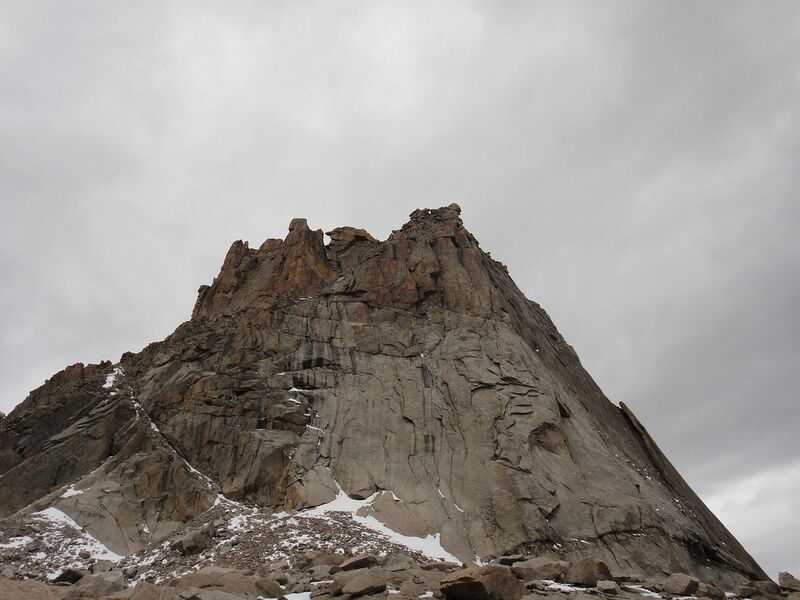 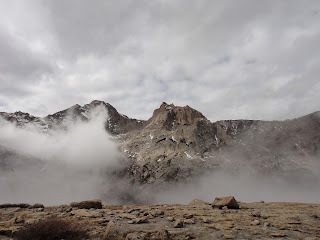 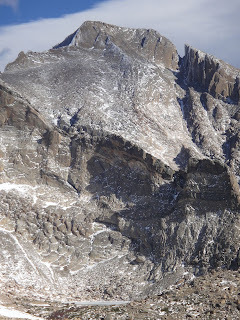 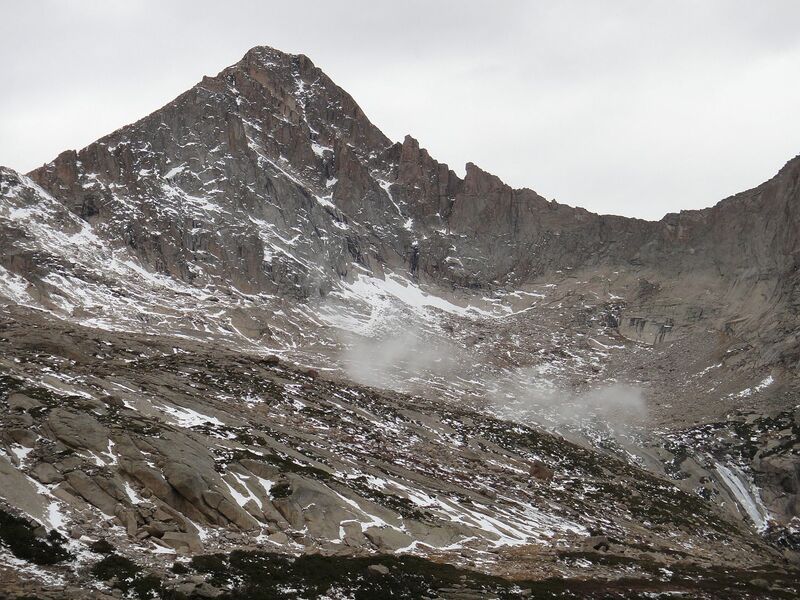 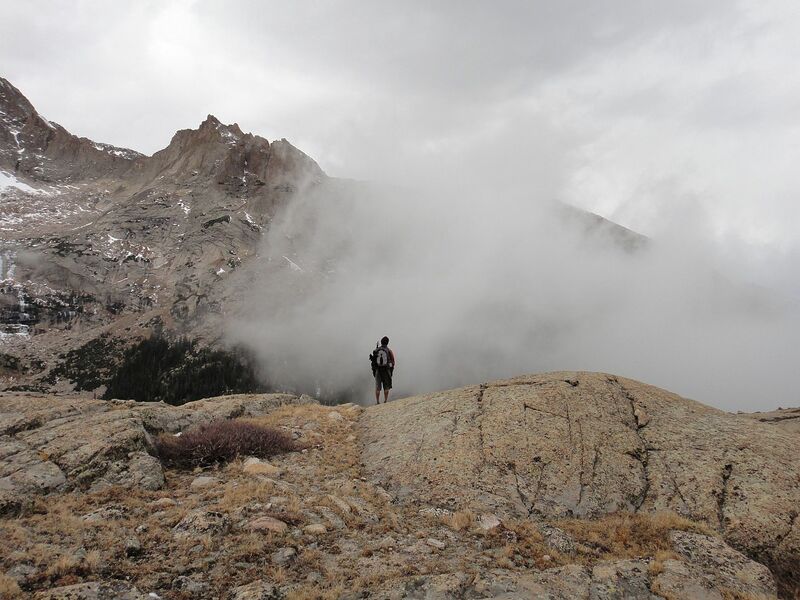 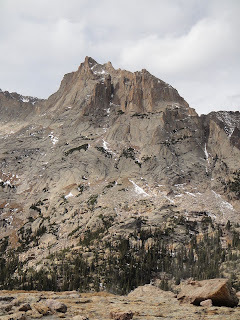 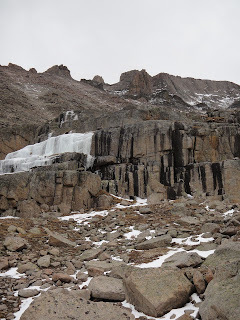 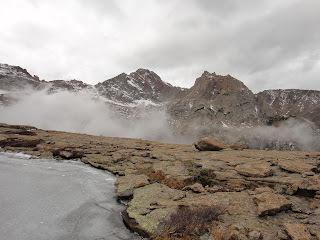 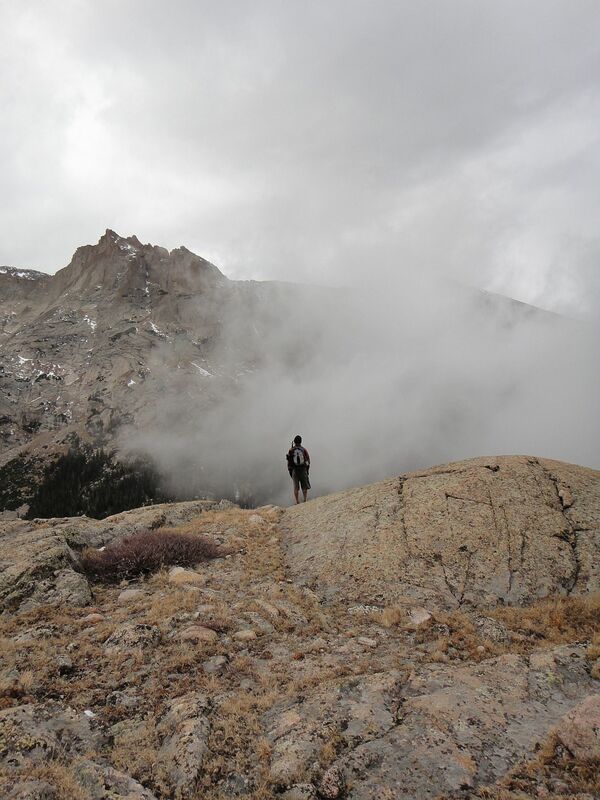 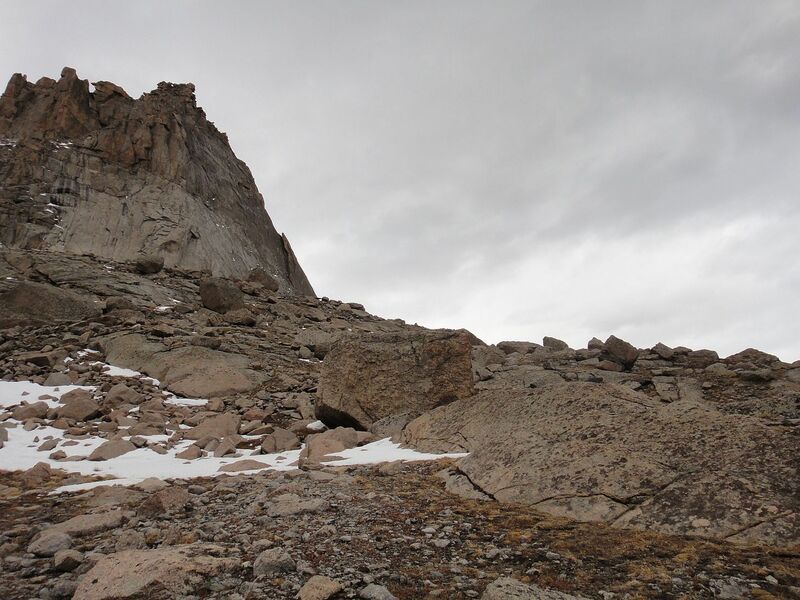 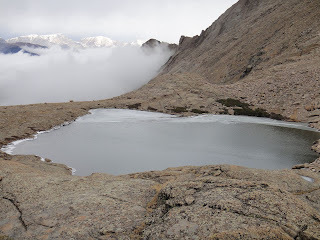 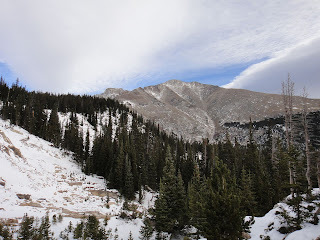 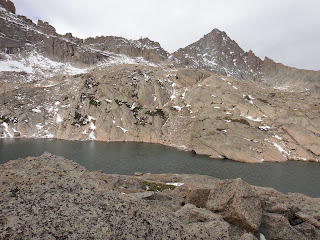 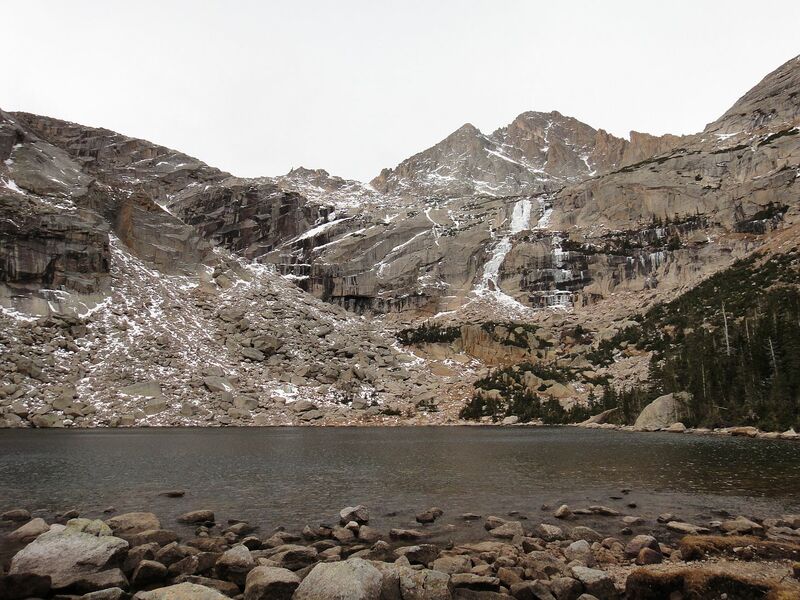 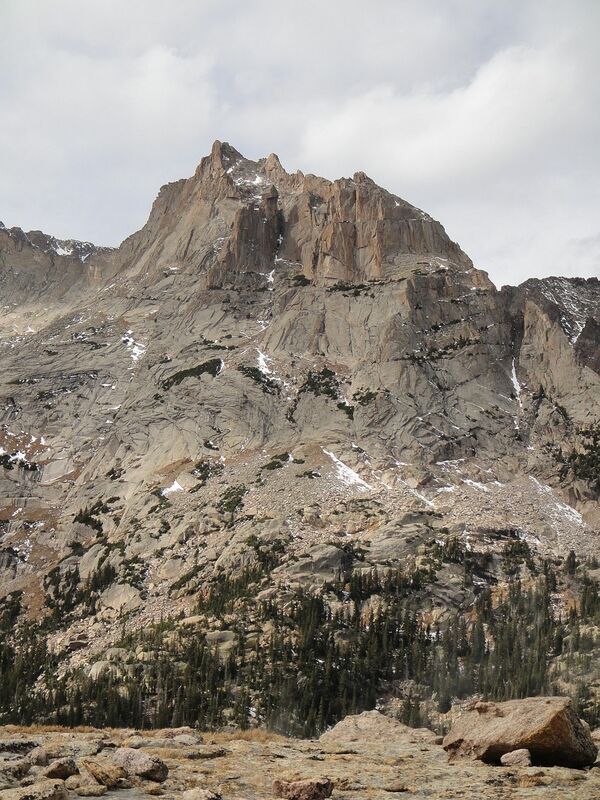 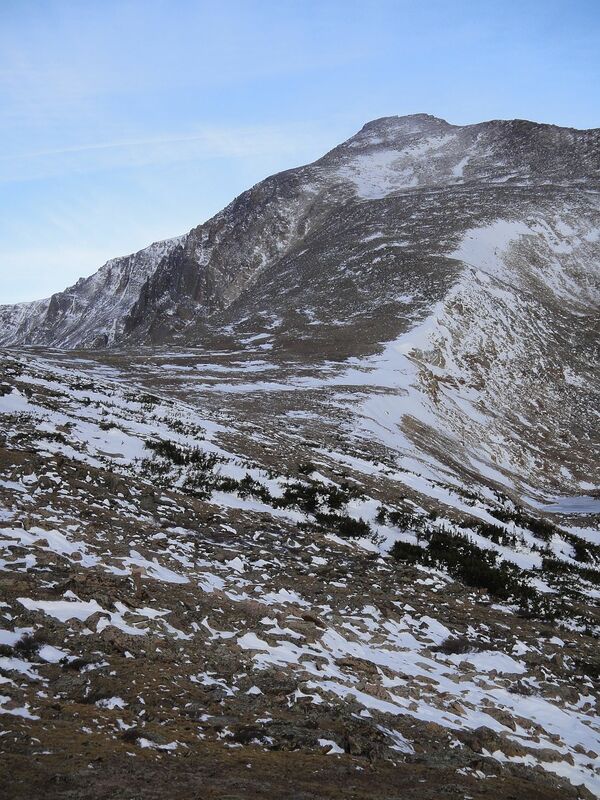 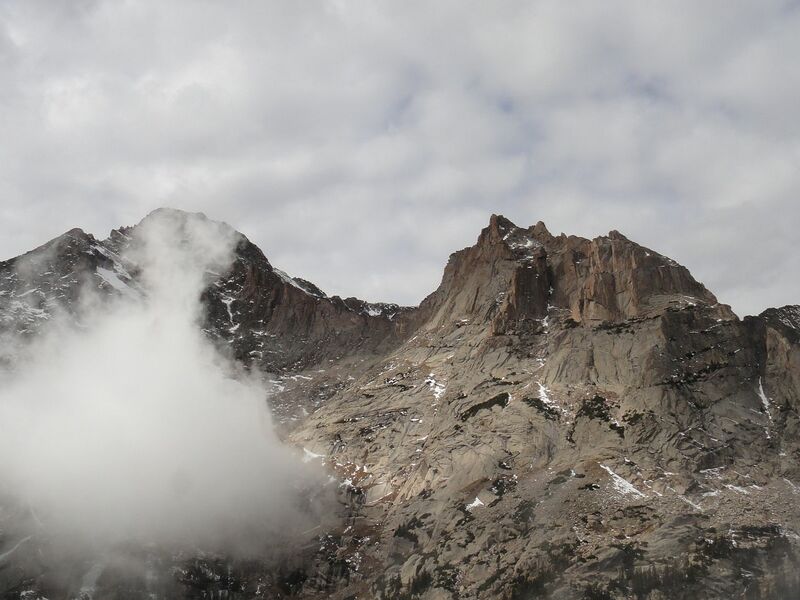 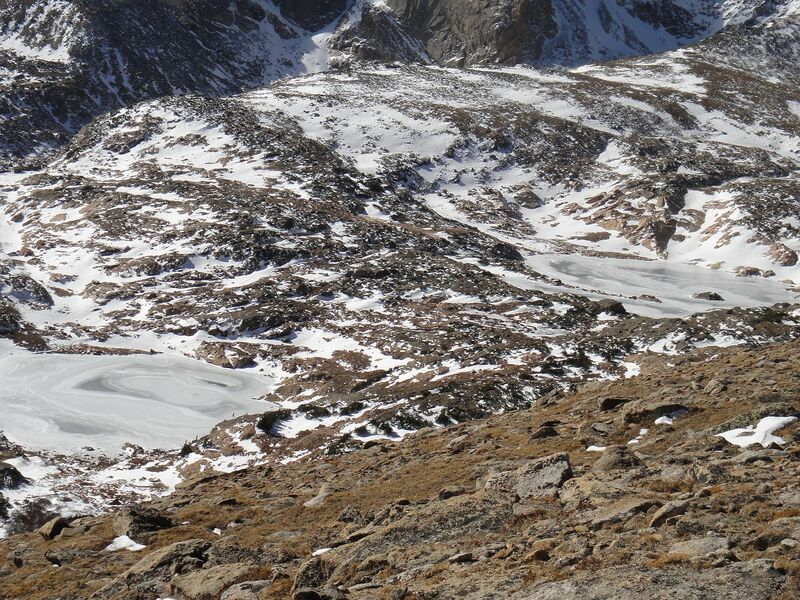 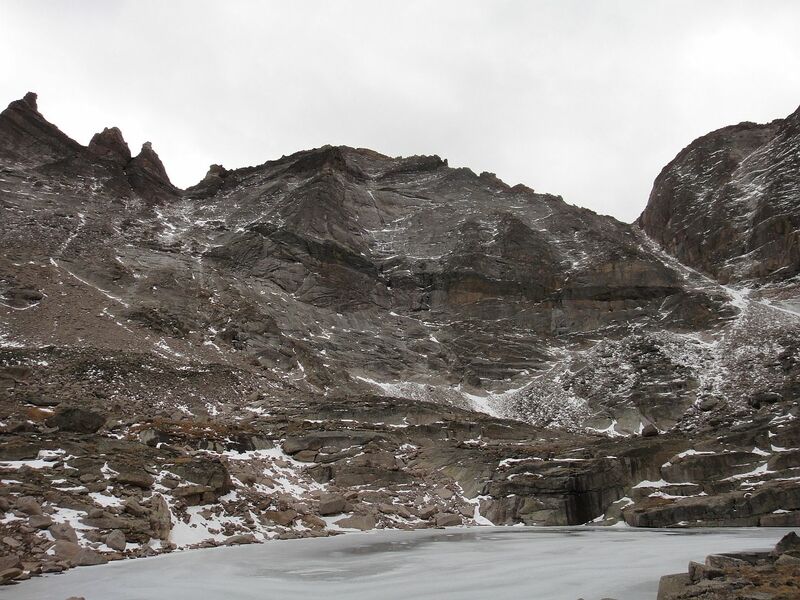 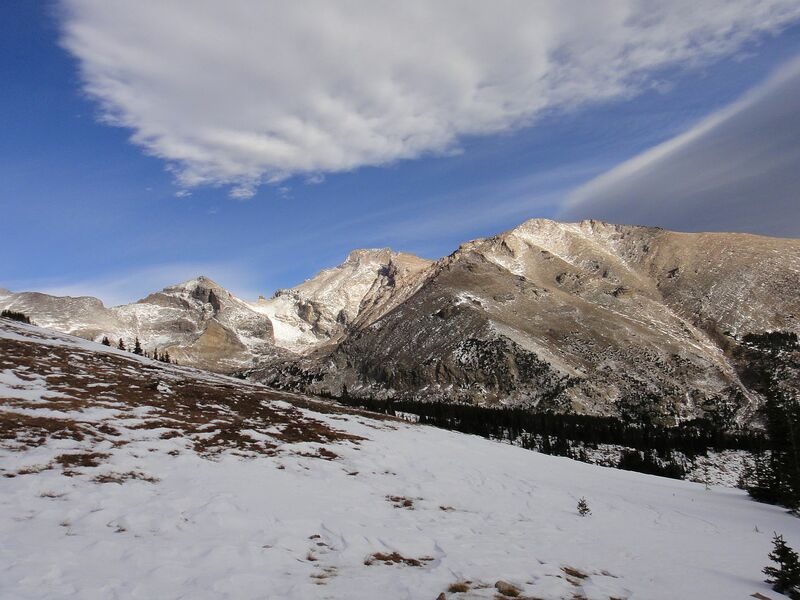 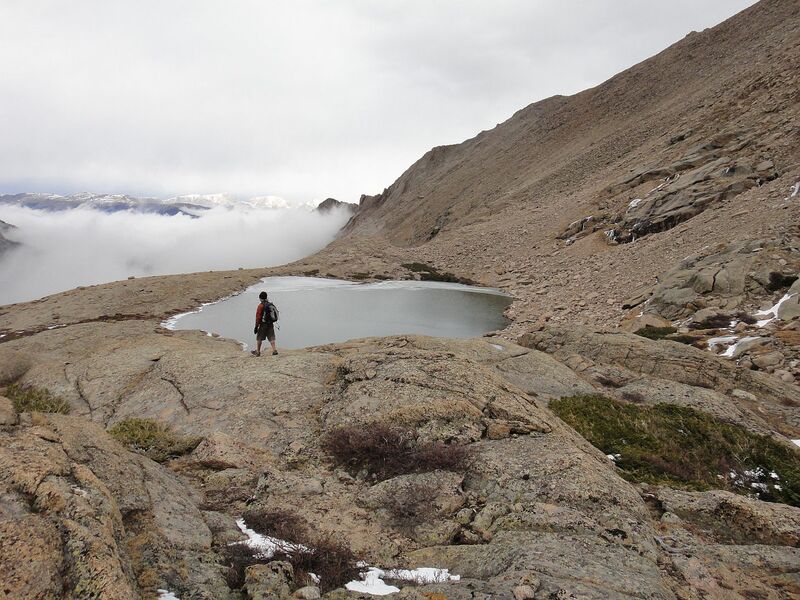 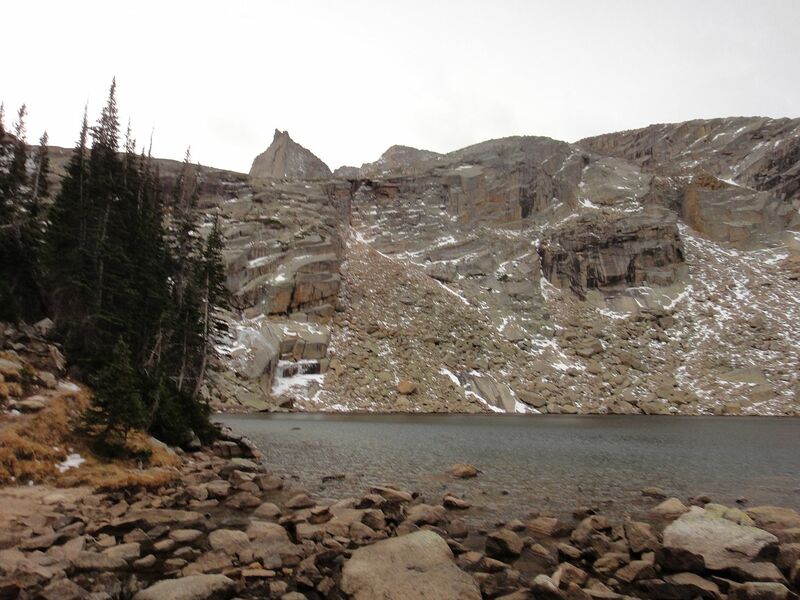 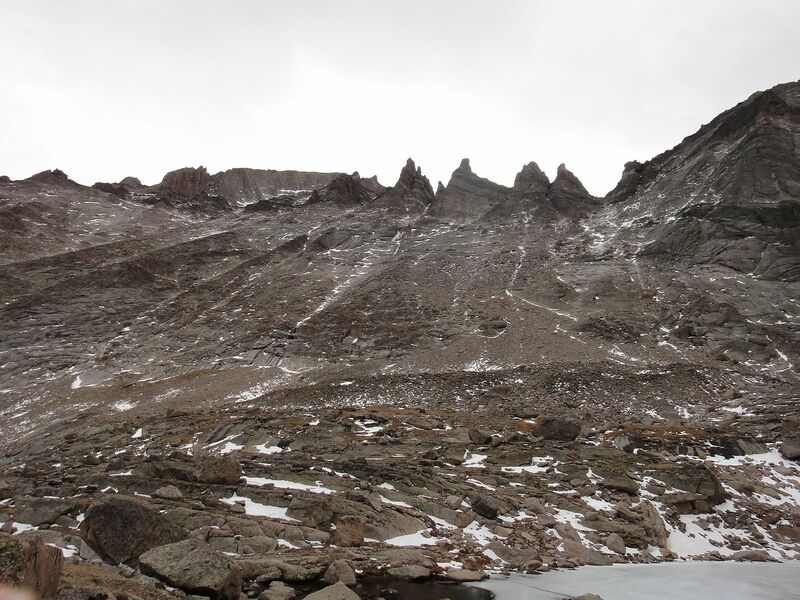 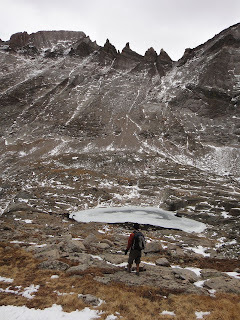 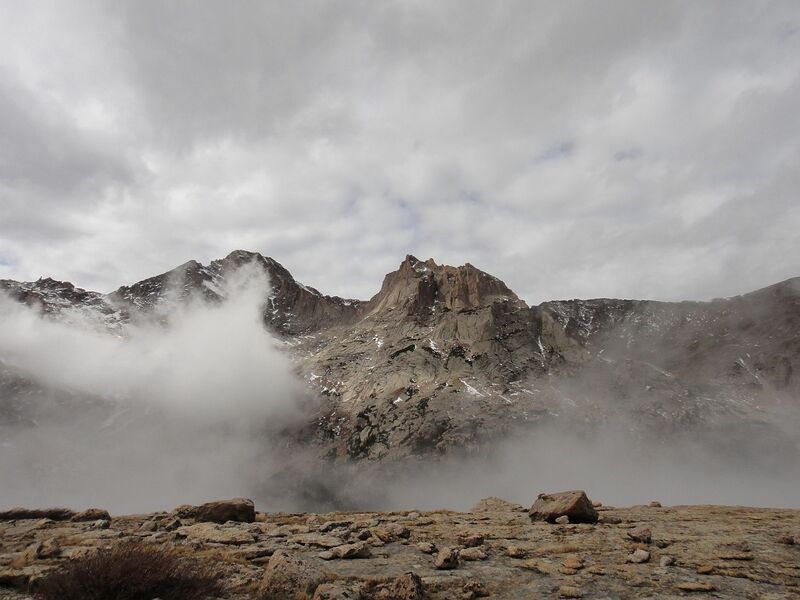 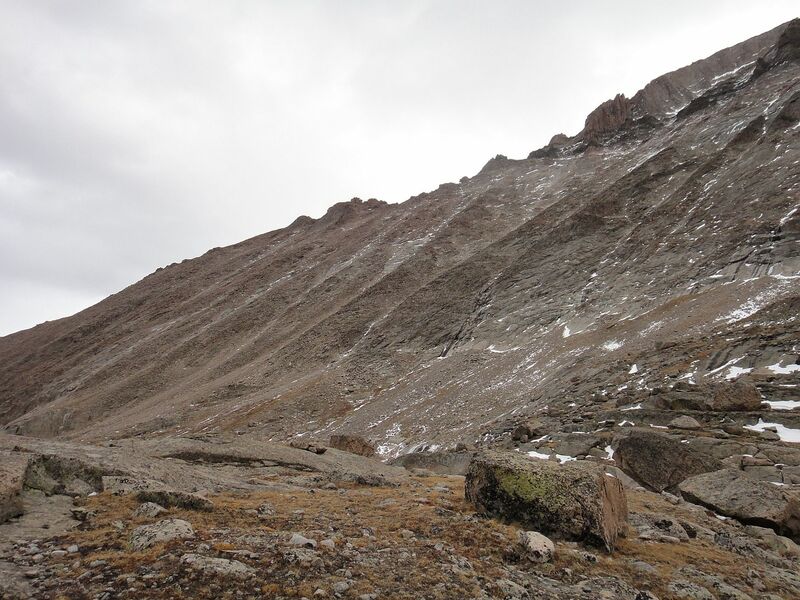 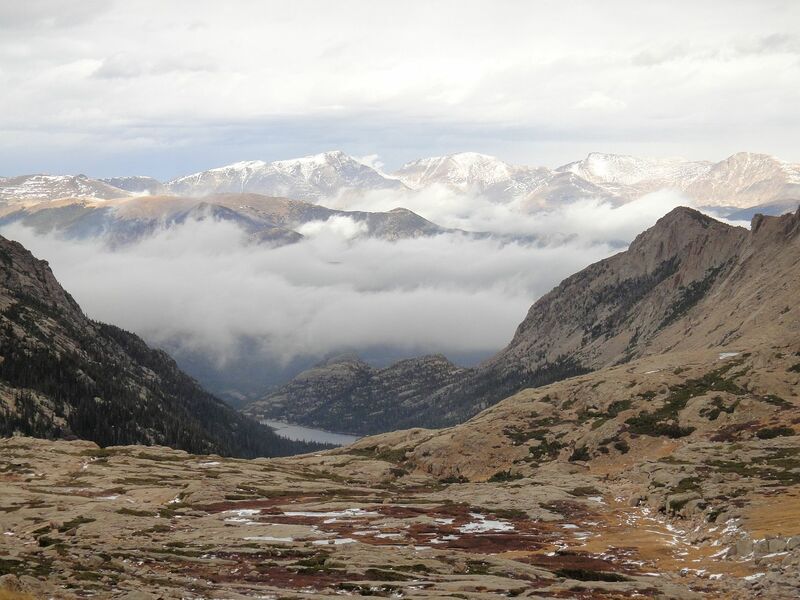 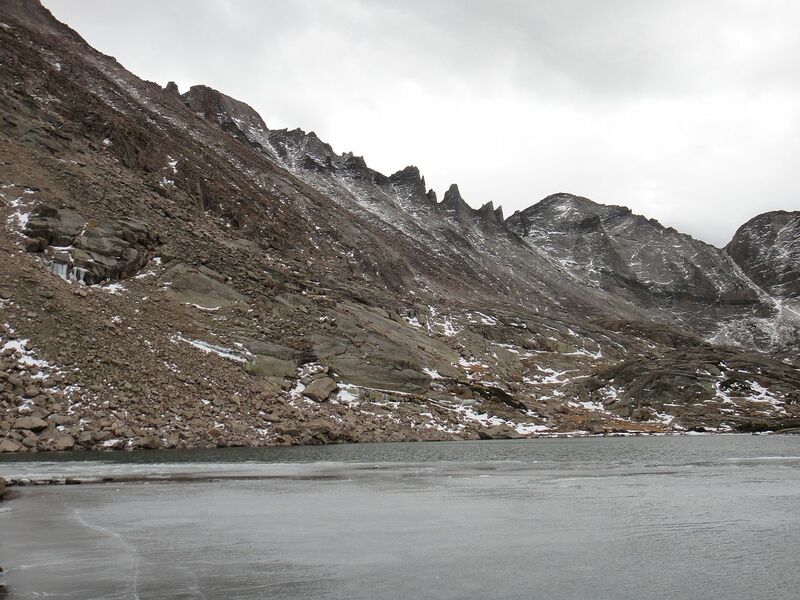 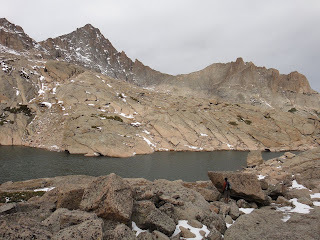 Mount Alice, at 13310 feet, is one of the most memorable peaks I have climbed in Wild Basin. 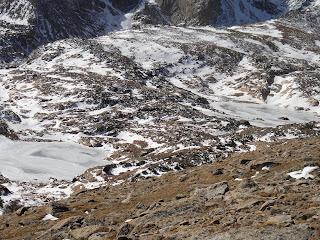 North Ridge on the way back. 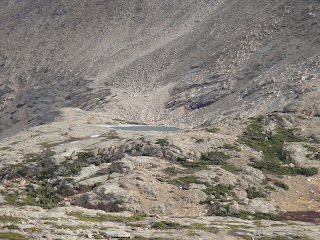 Lion Lake #2 and Snowbank Lake. On the way back we skirted to the north of Mt. Orton and kept in meadows and grass as we descended past tree line. 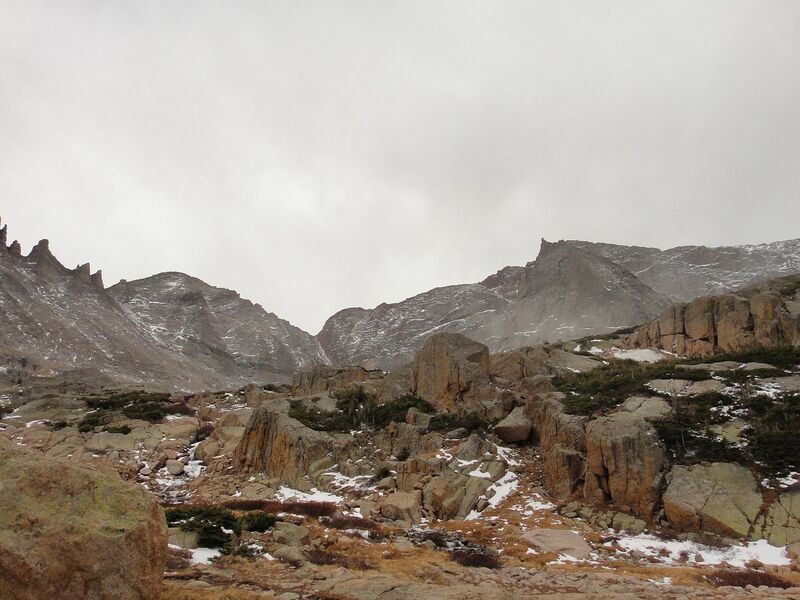 L to R- Chiefs Head Peak, 13579 feet, 3rd highest in the park. 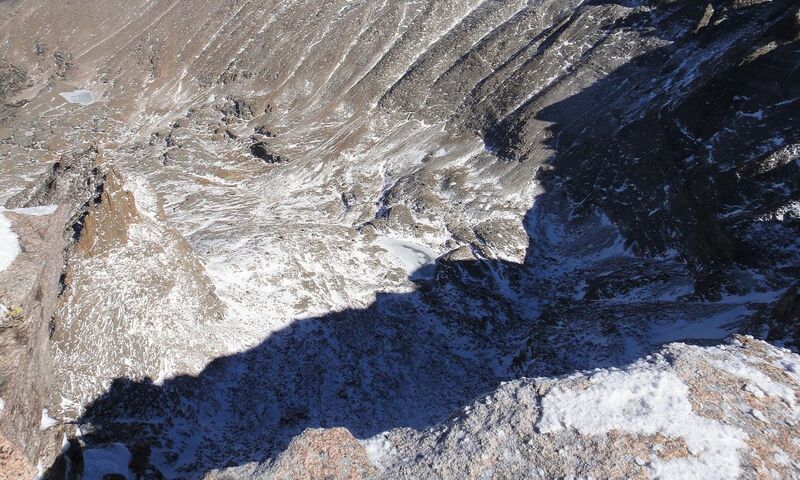 Pagoda Mountain 13497 feet, 7th highest. 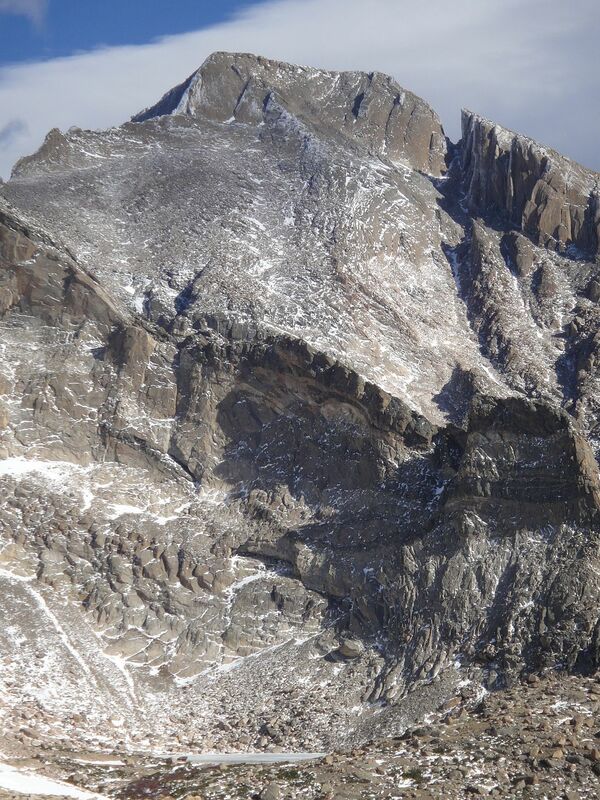 Longs Peak 14255 feet, highest. 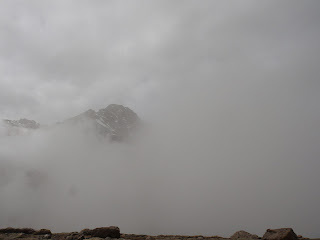 Mount Meeker 13911 feet, 2nd highest. Back at Sandbeach Lake. We took a break to eat and shed some clothes as the day was now quite warm. 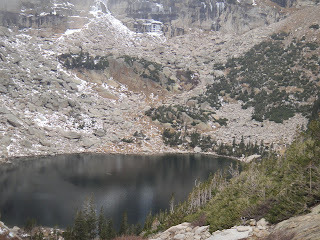 This also marks the spot where we saw the first and only other group we would see this day. 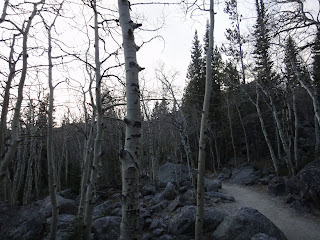 Another fun day in the park come to an end.. Well, there's still the 4.2 miles back to the parking lot. 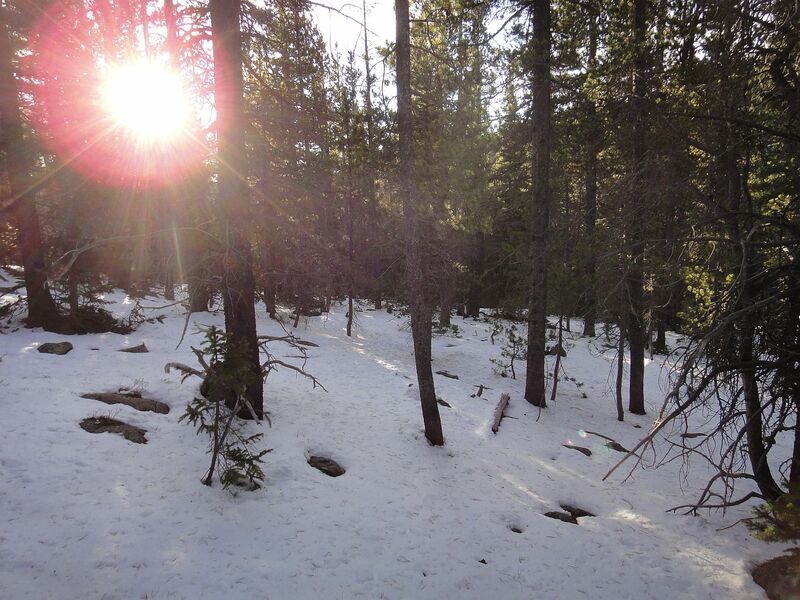 By now the trail had melted out pretty well, making the journey back quite slushy and wet. 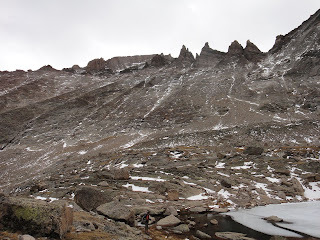 We got back to the car just a few minutes after five, giving us a ten hour day. Not bad. 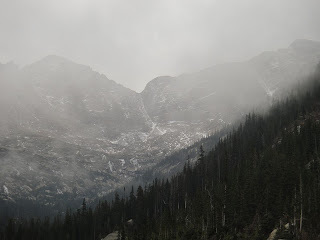 Chiefs Head Peak was a ton of fun! 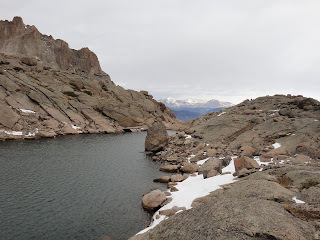 This is something that had been on my list, and I was disappointed to not be able to get to it earlier, but happy to have crossed it off now. Dan said Chiefs Head is also the highest gain hike in the park when done by its standard route. Certainly a fun and worthy destination to check out this winter or next summer. 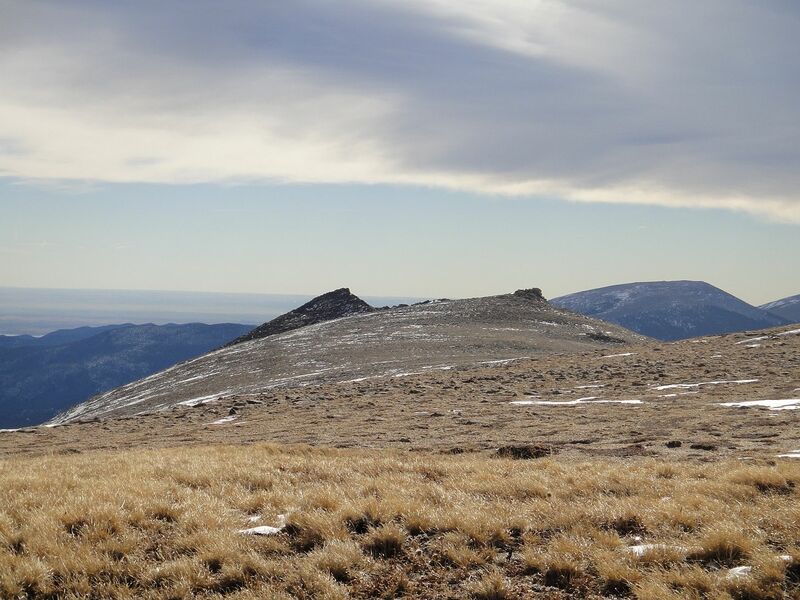 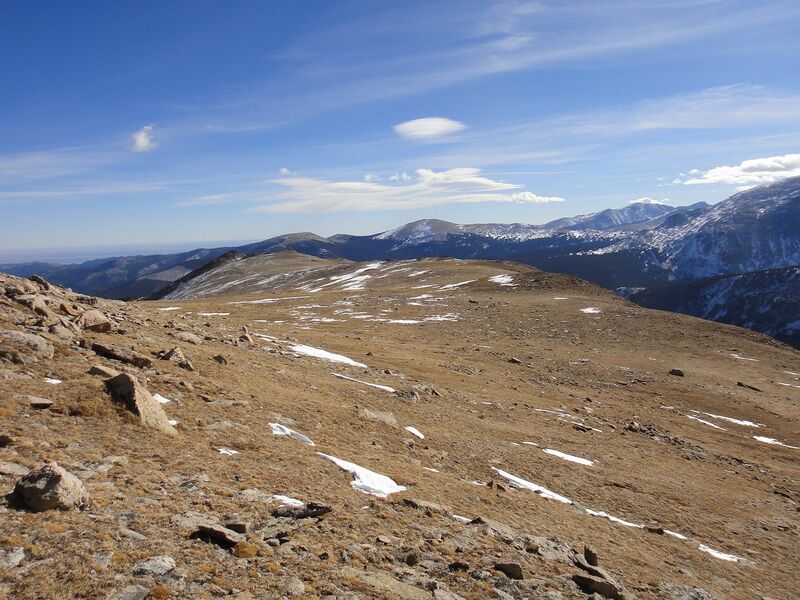 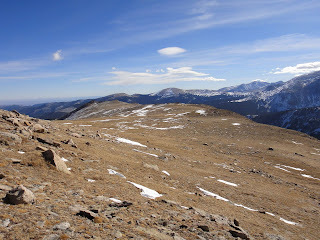 Chiefs Head Peak, 13579 feet: 7.9 miles one way, 5239 foot gain.. Second class. 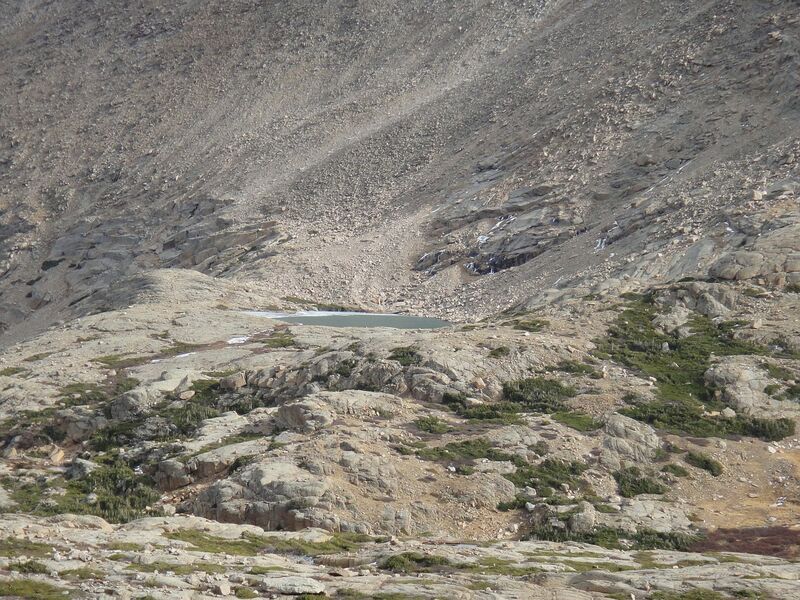 Strenuous. 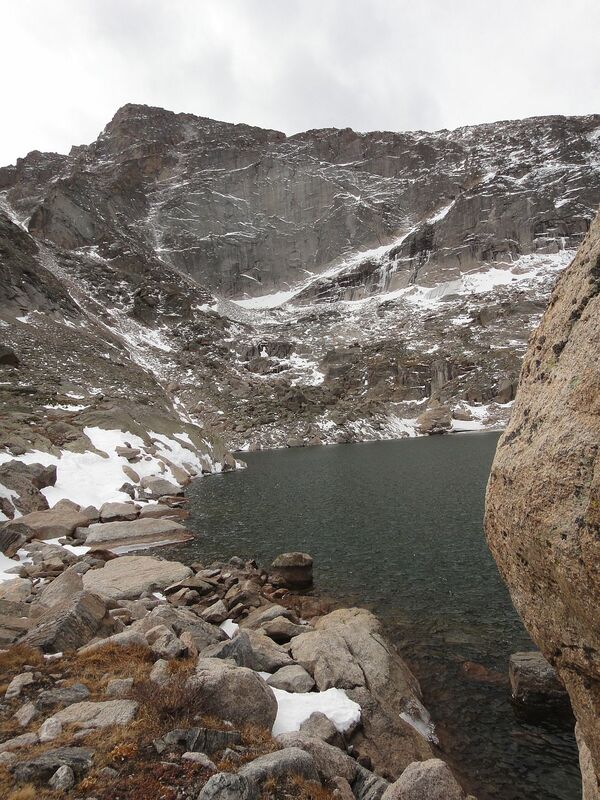 Sandbeach Lake, 10283 feet : 4.2 miles one way, 1943 foot gain. 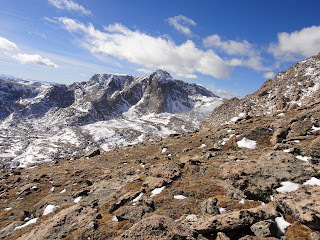 Moderate-. 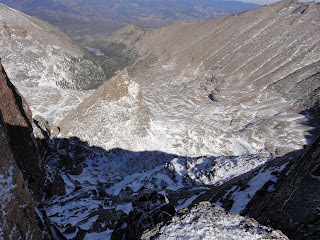 Mount Orton, 11724 feet: 5.7 miles one way, 3384 foot gain. 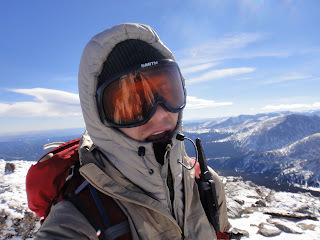 Moderate+.